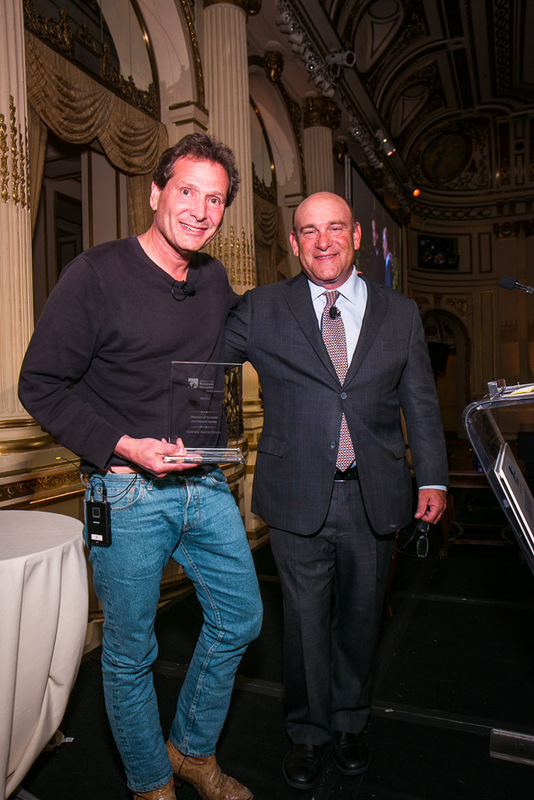 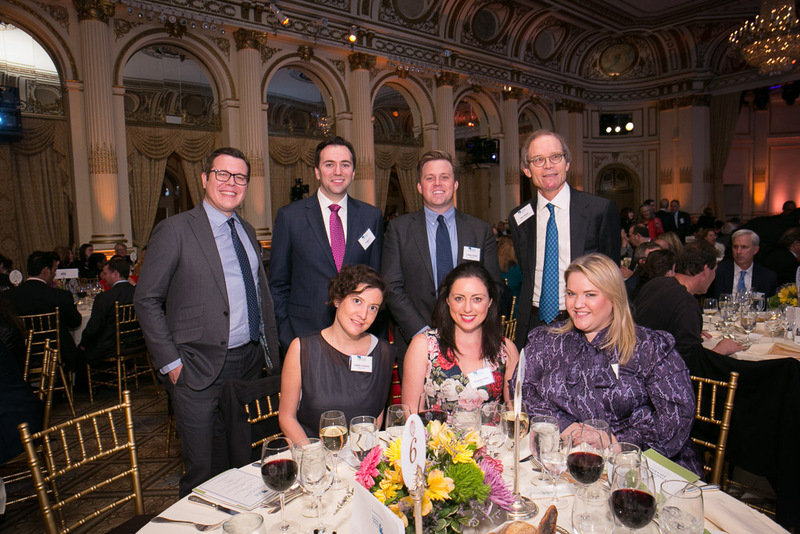 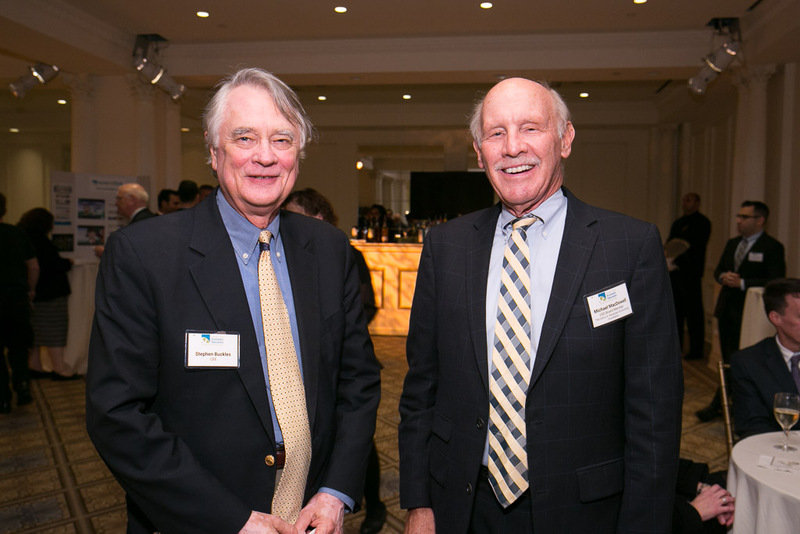 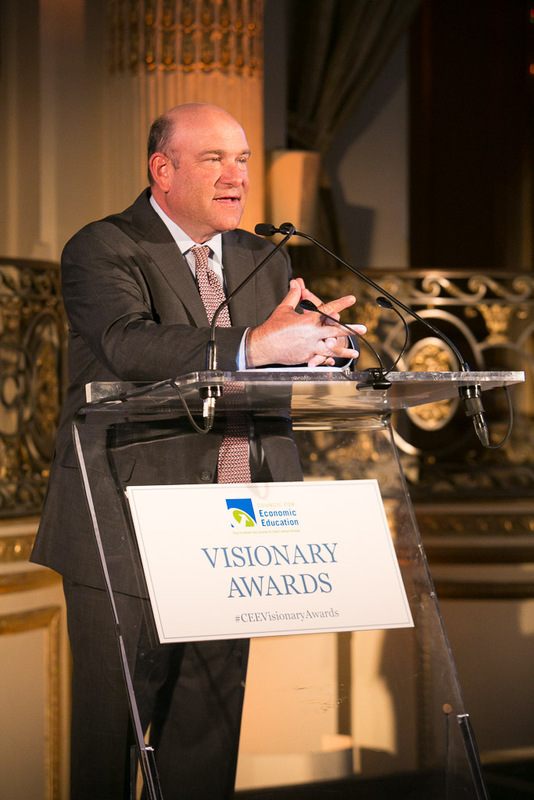 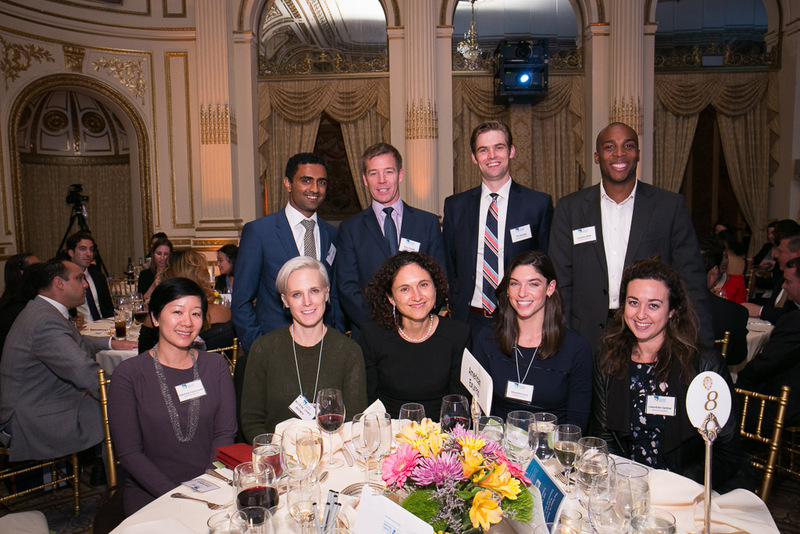 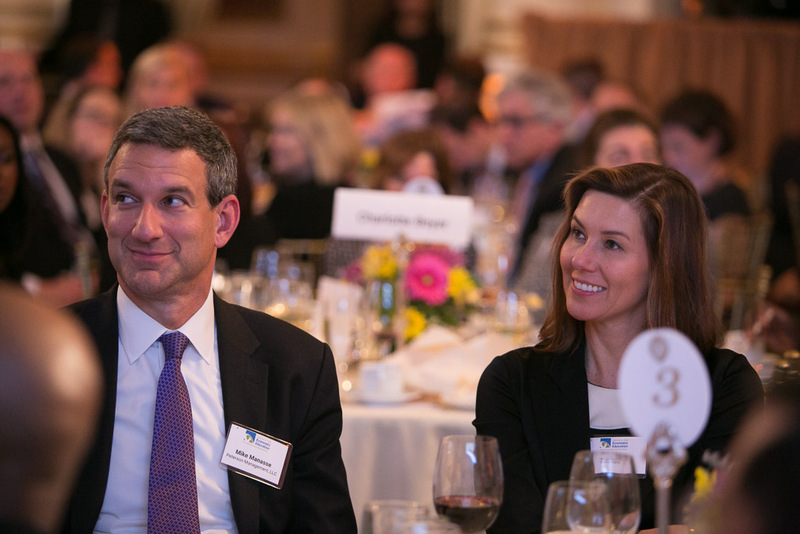 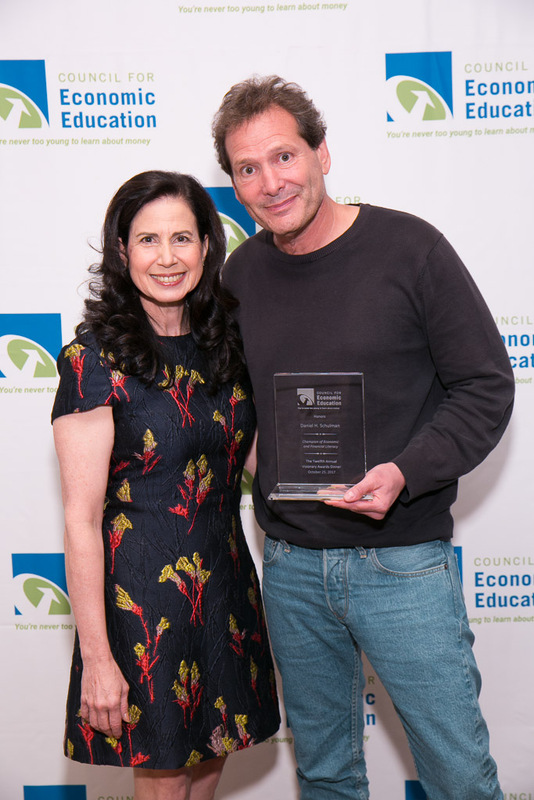 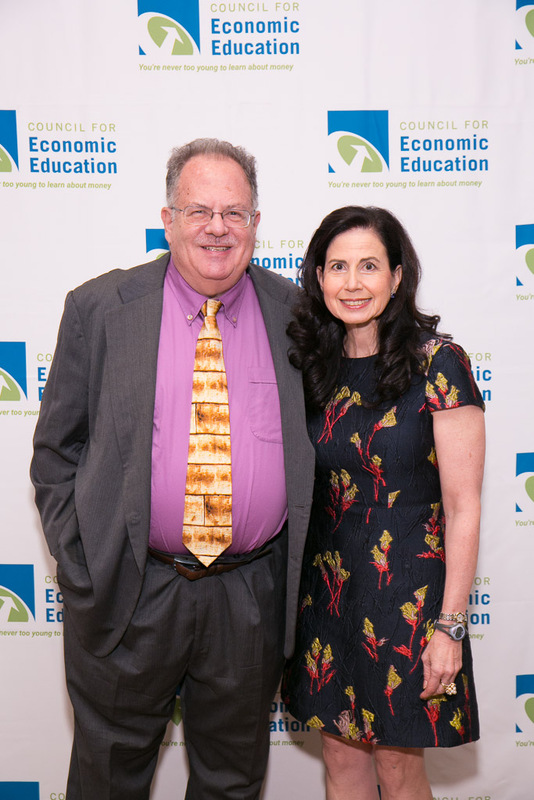 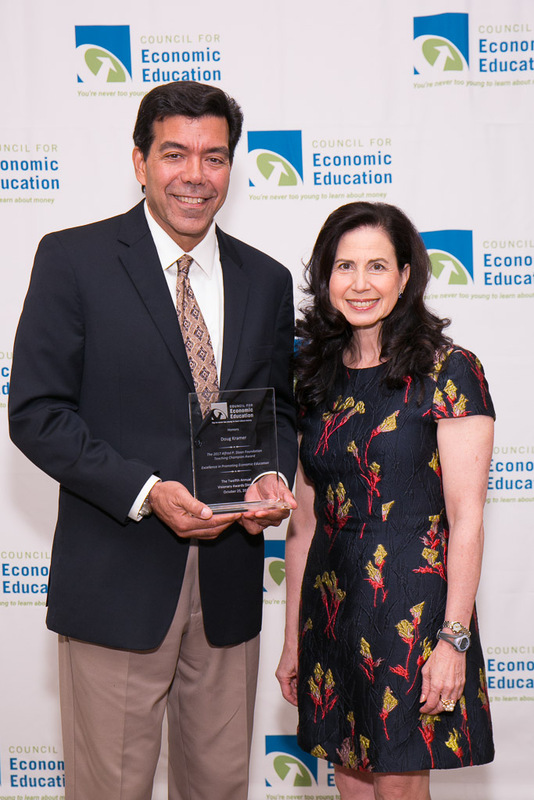 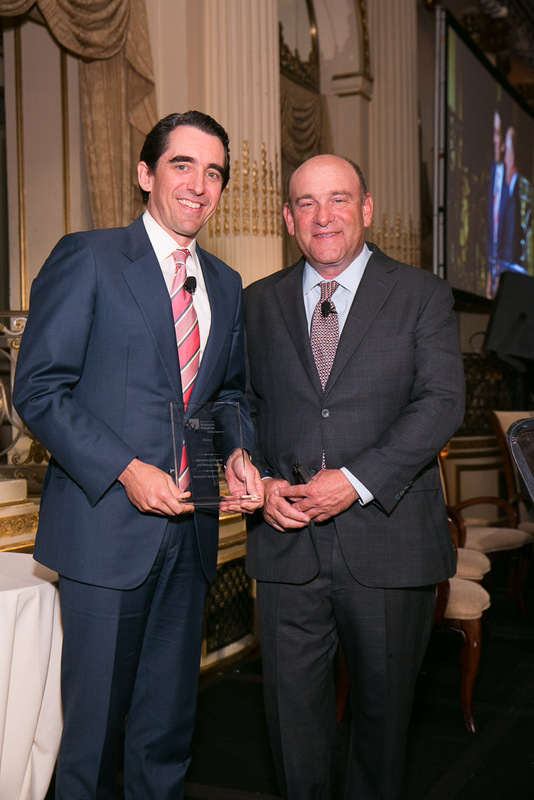 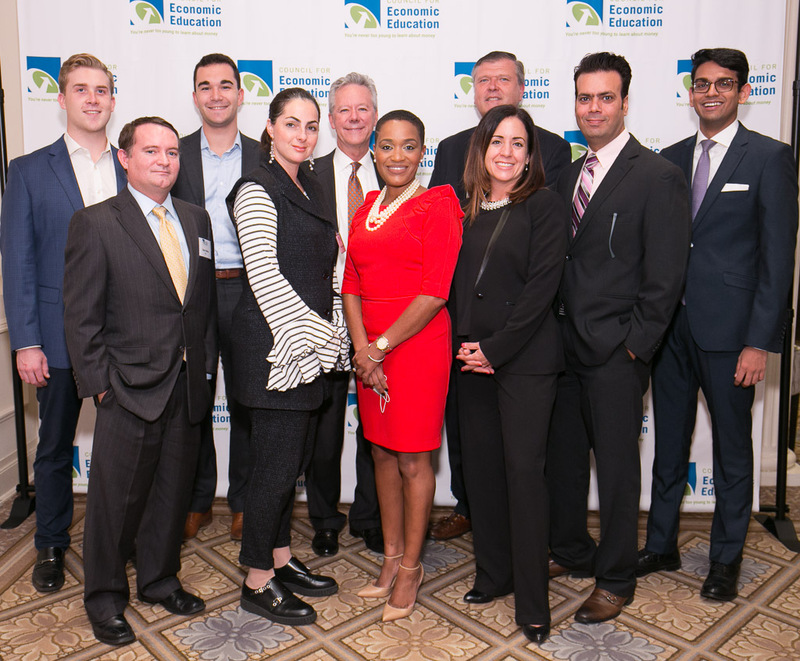 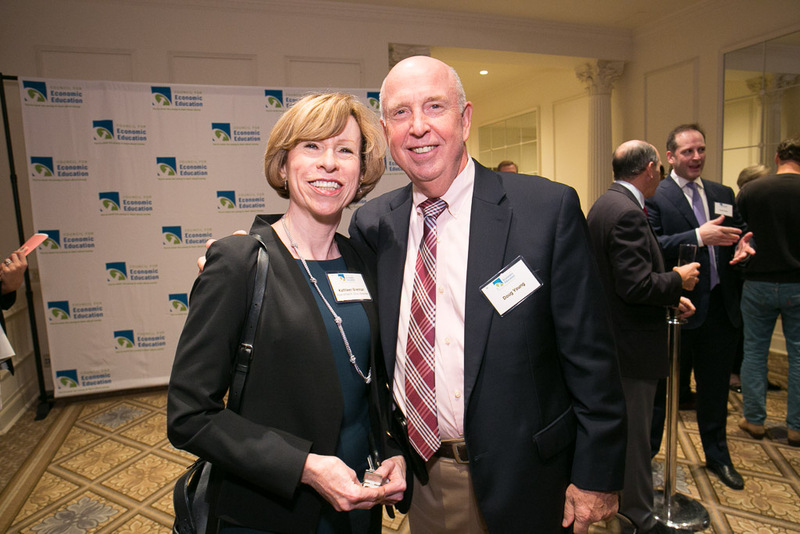 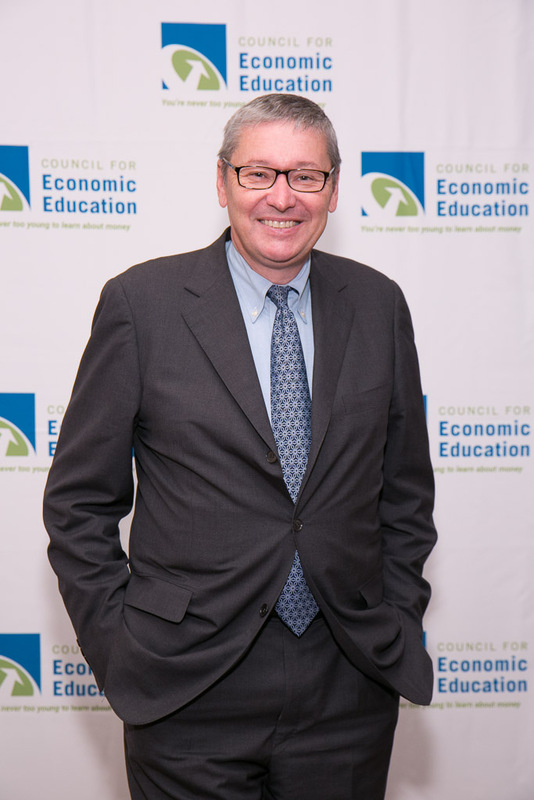 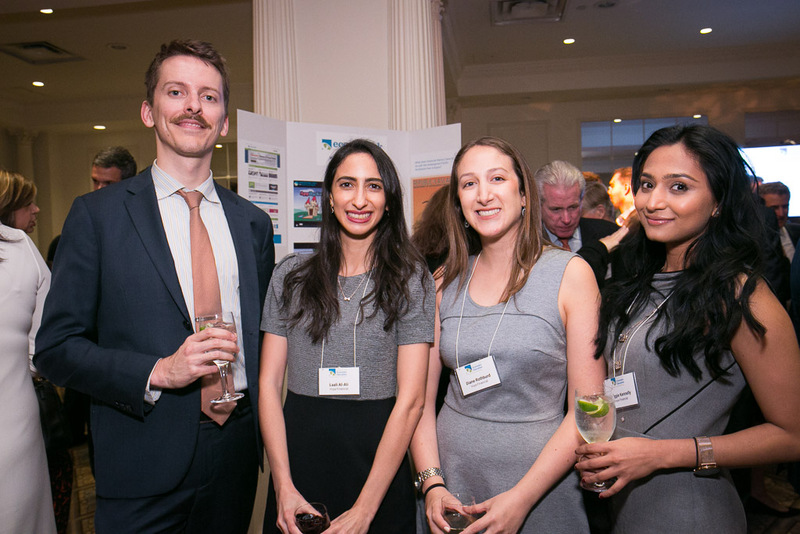 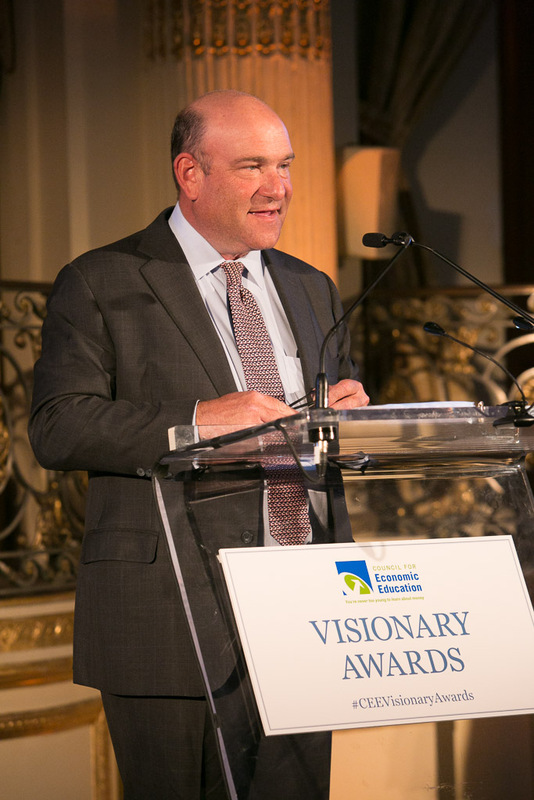 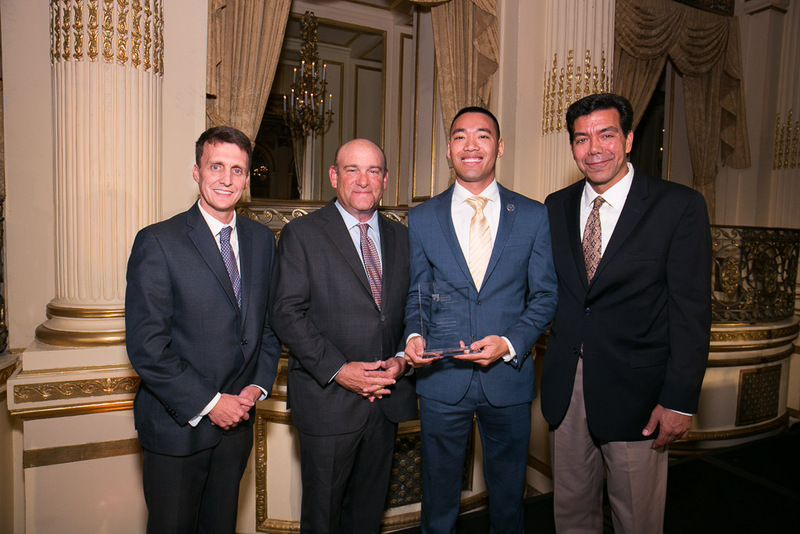 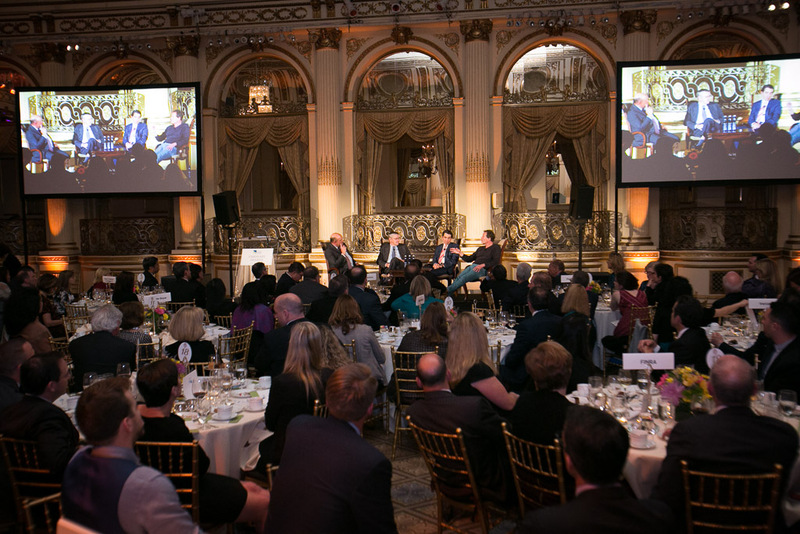 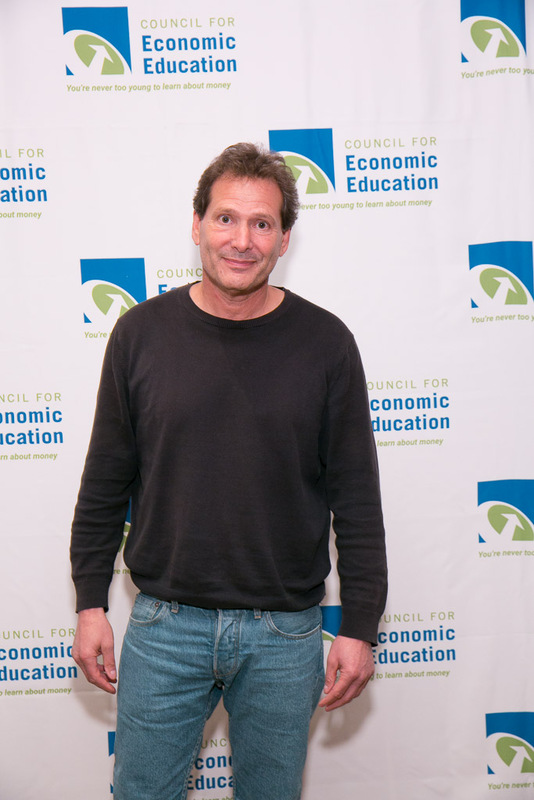 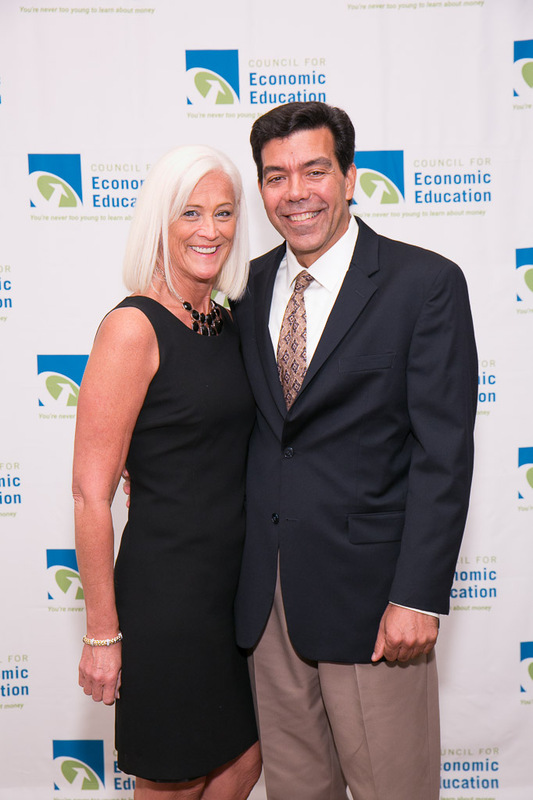 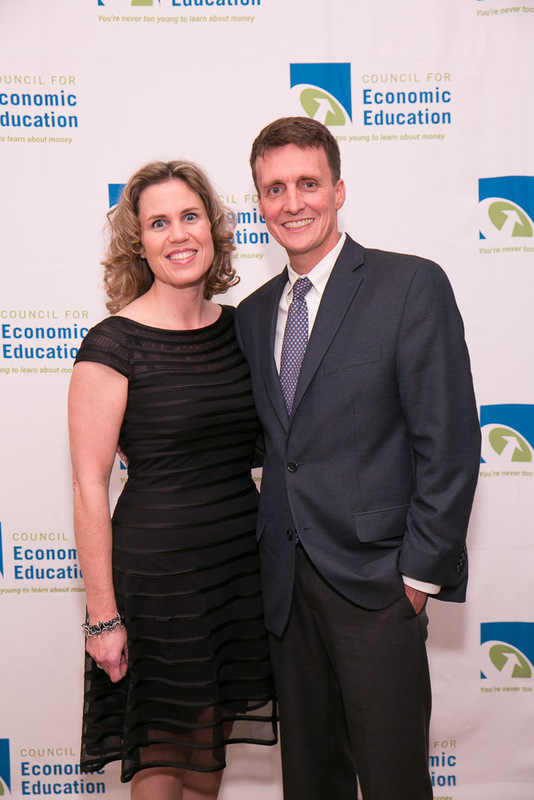 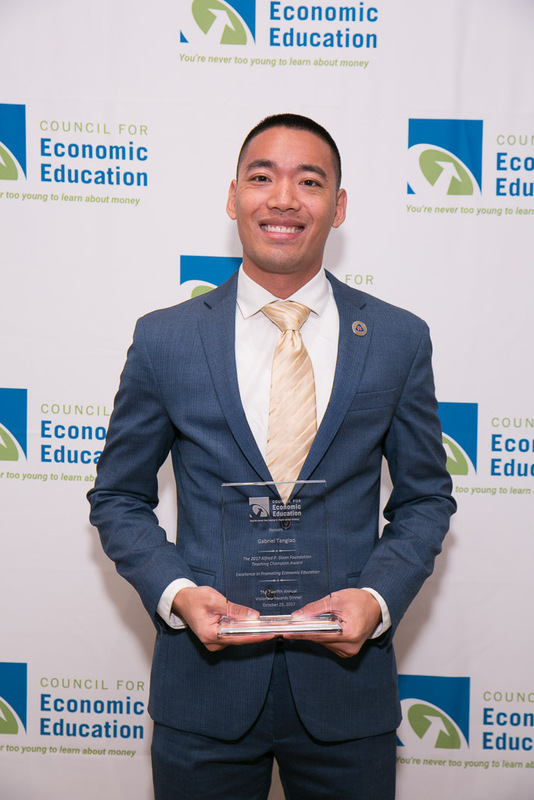 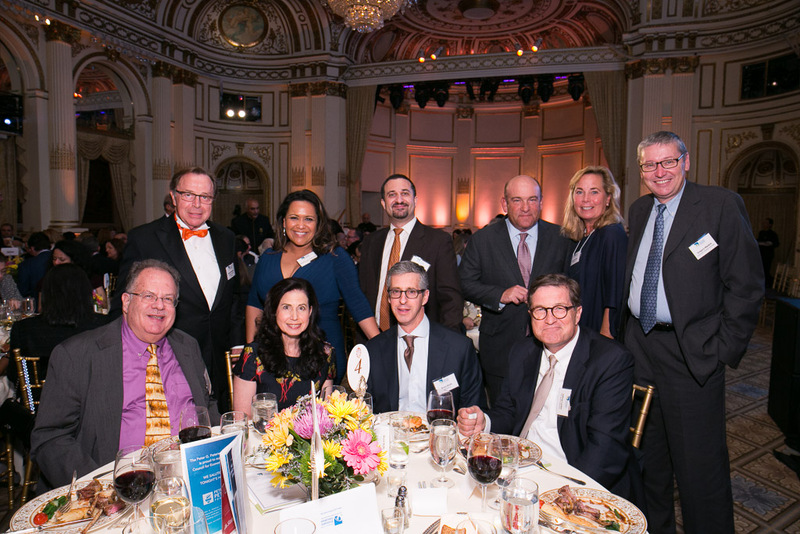 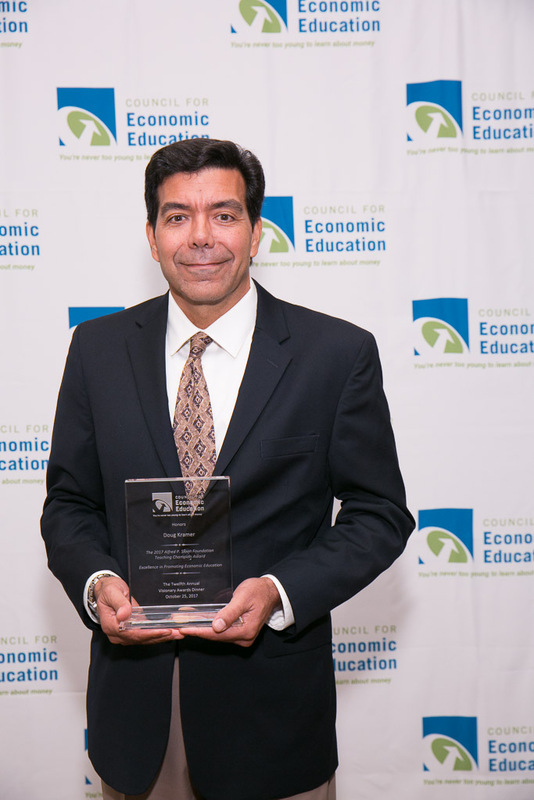 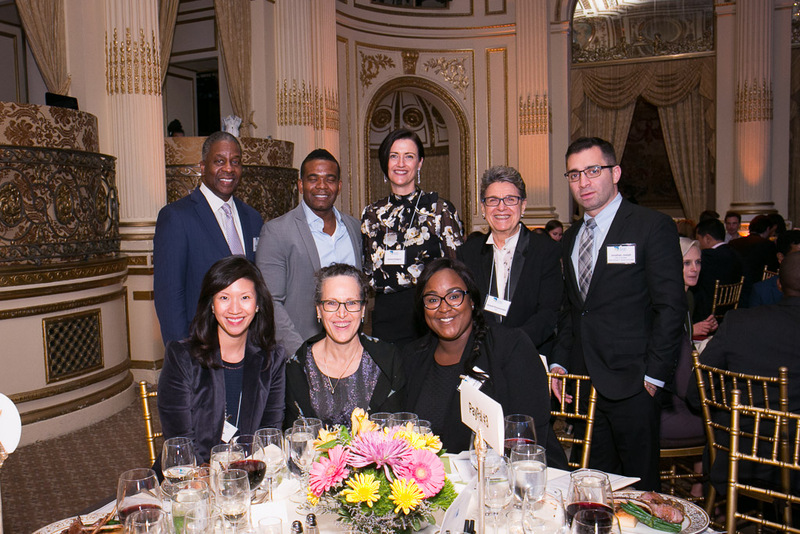 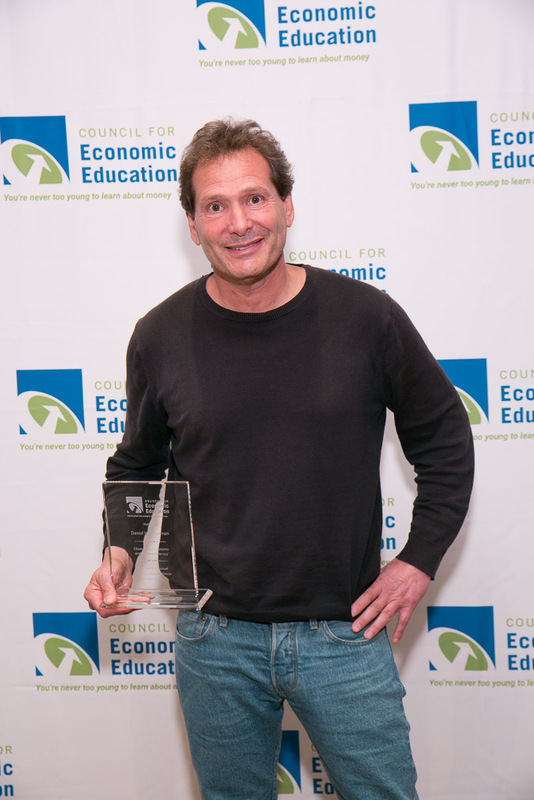 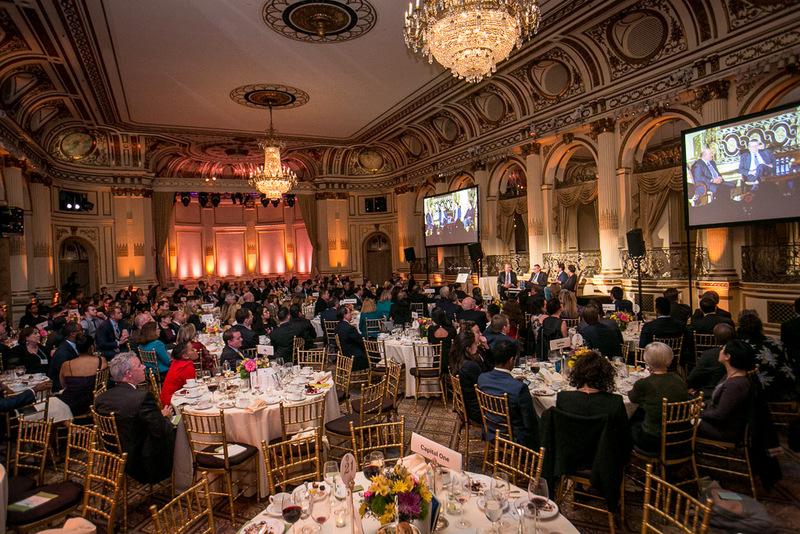 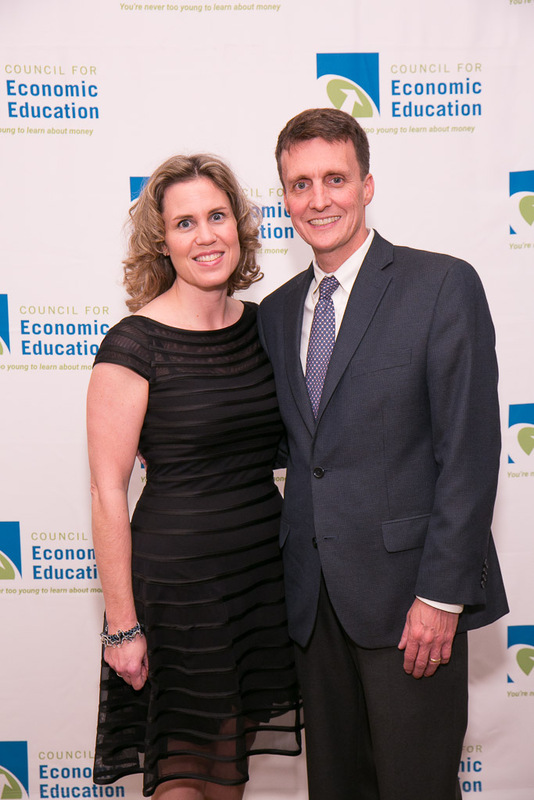 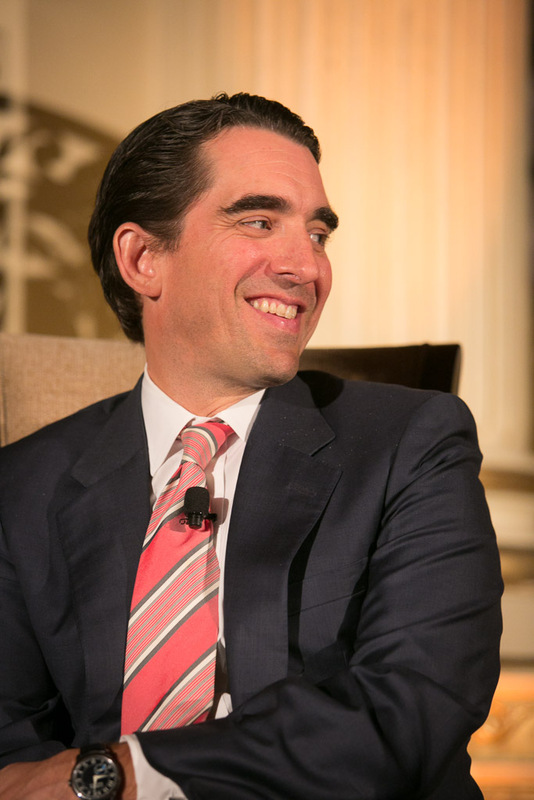 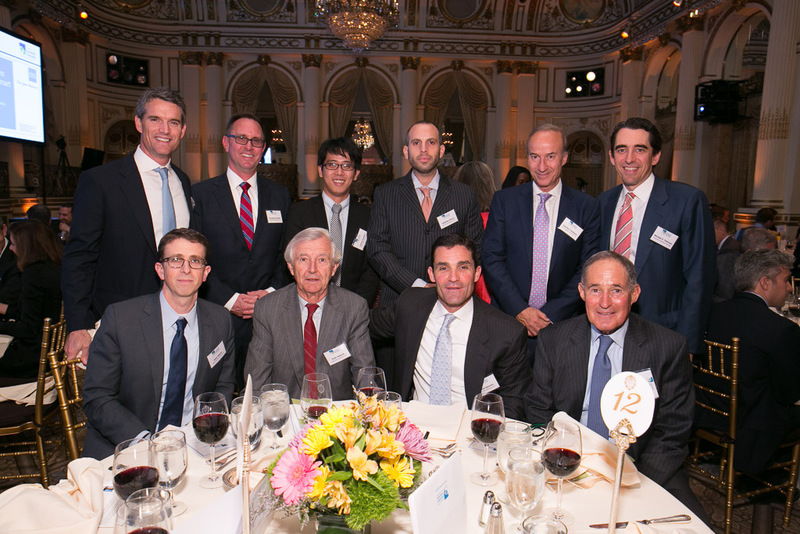 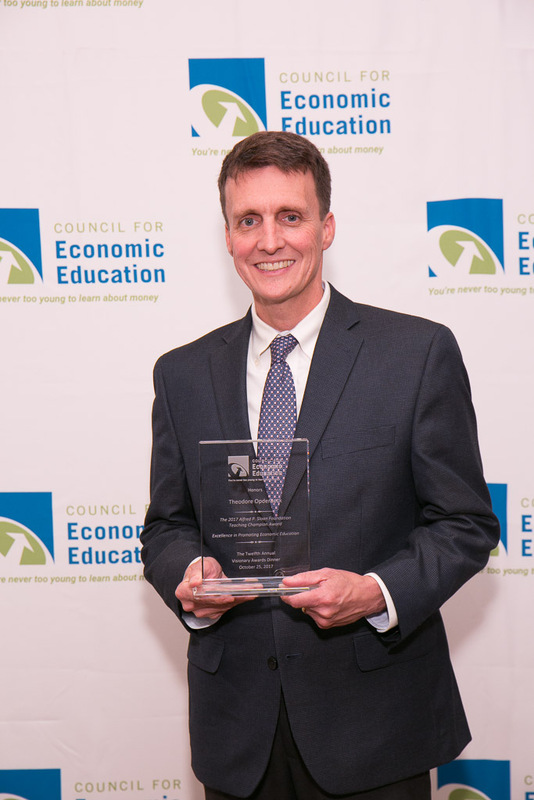 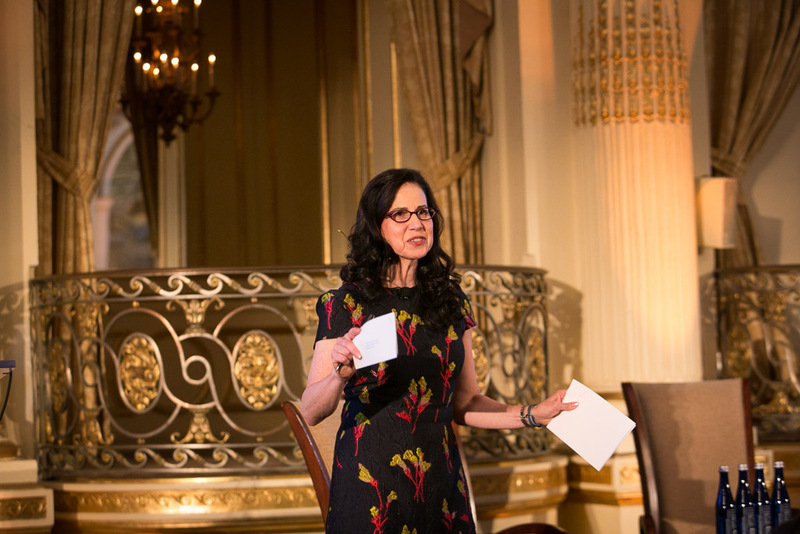 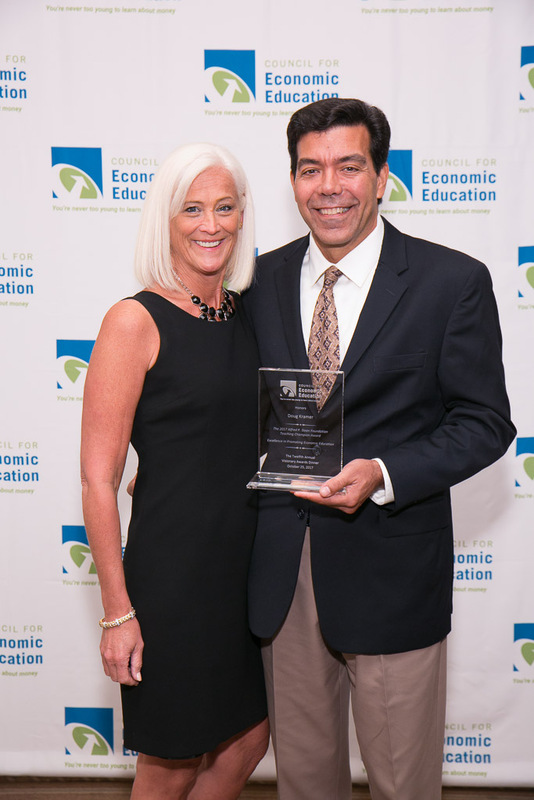 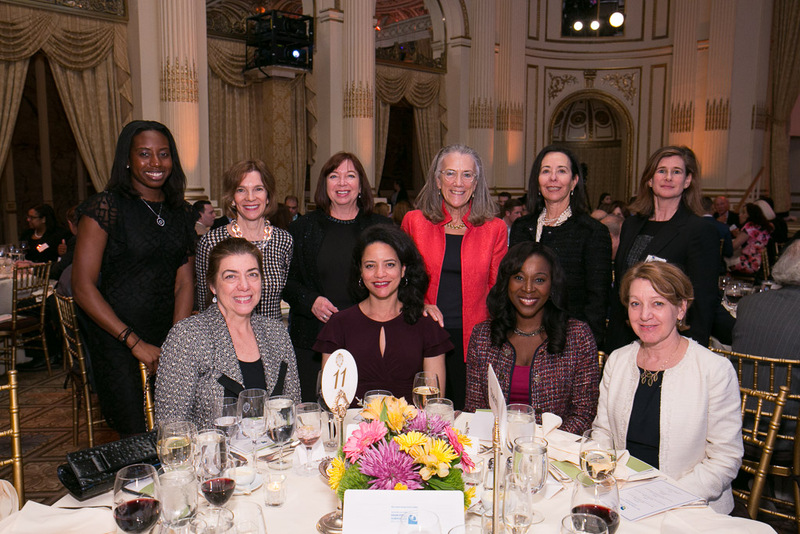 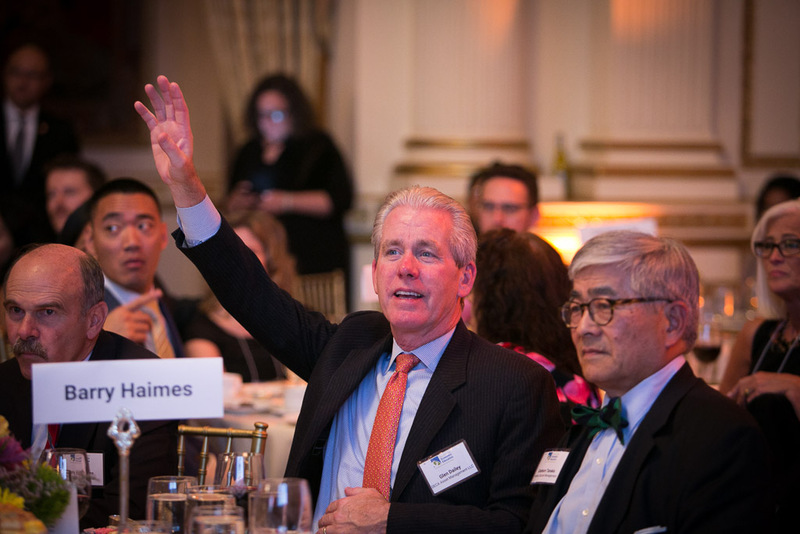 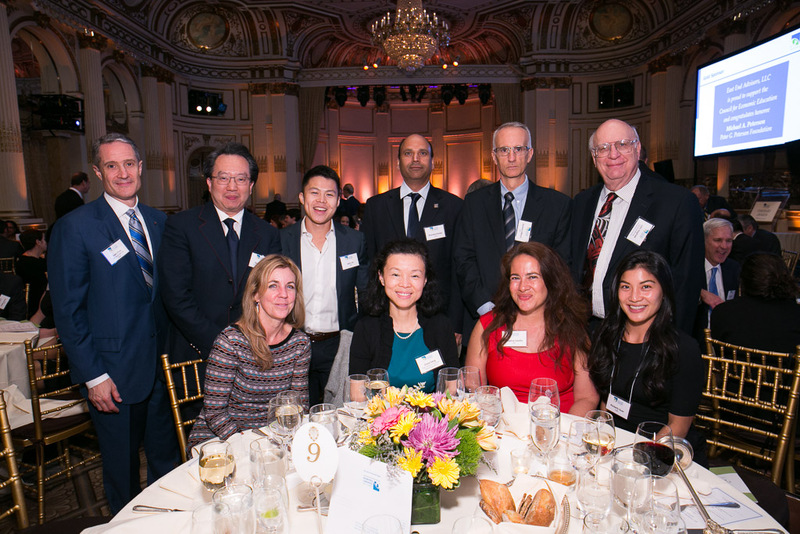 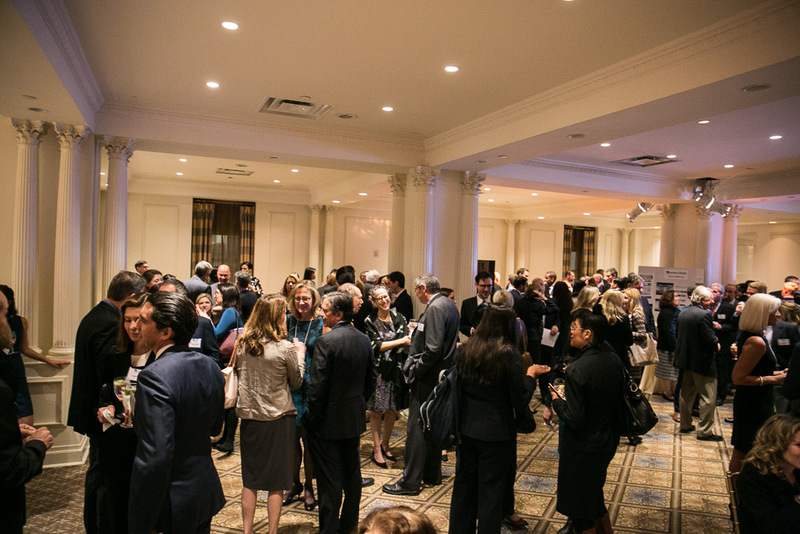 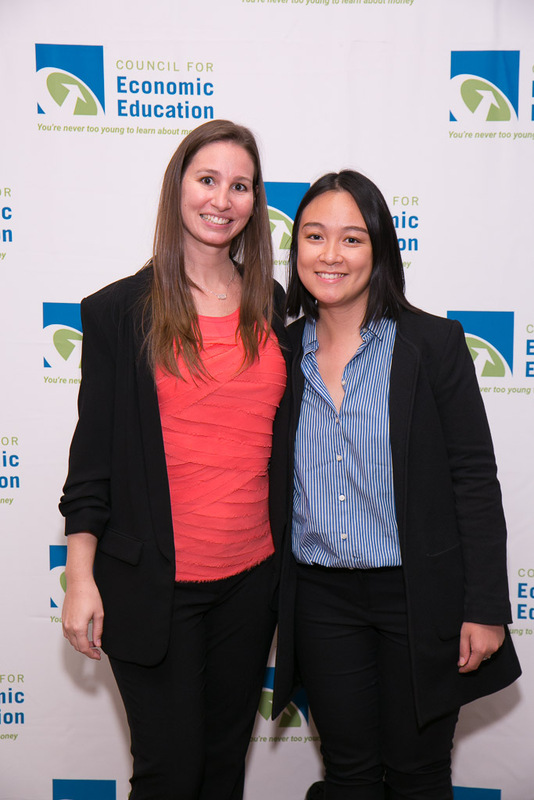 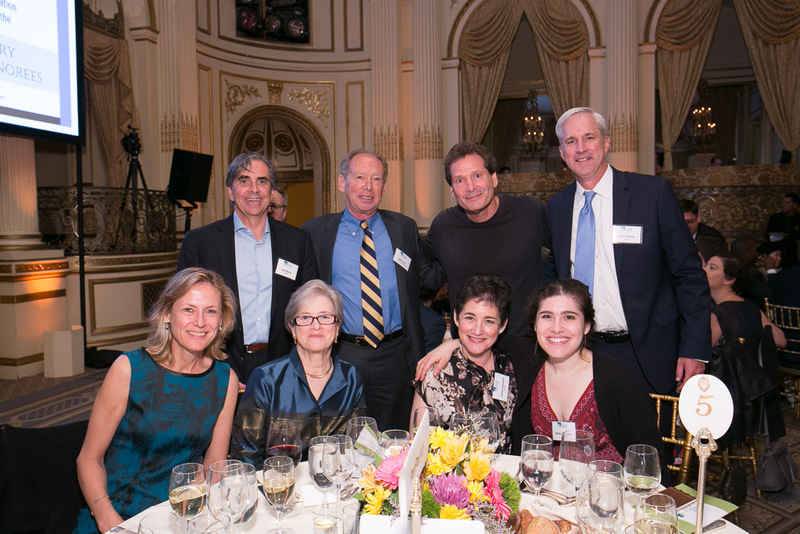 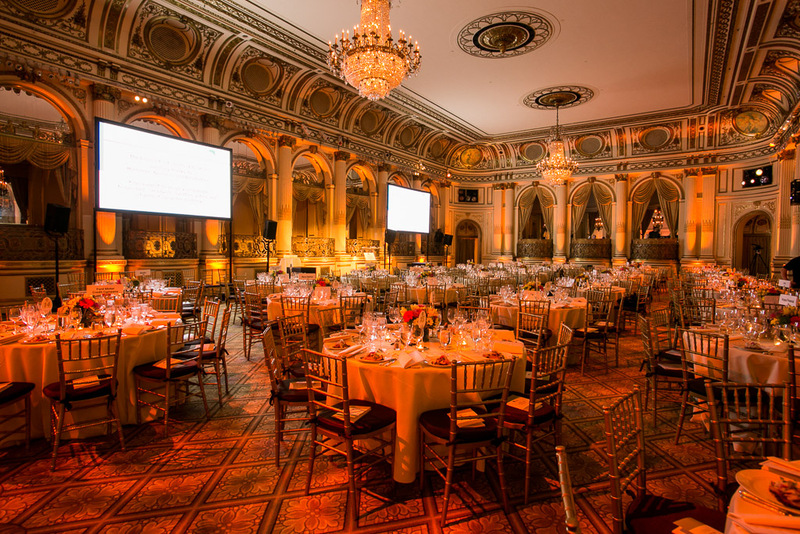 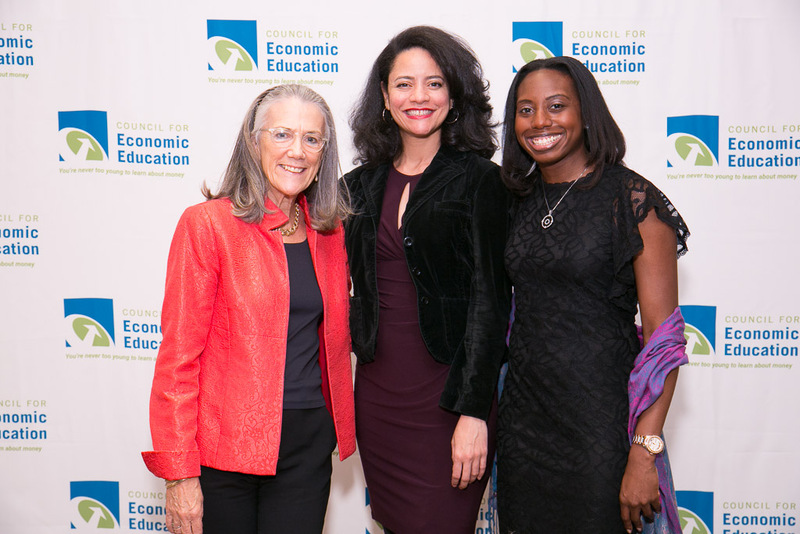 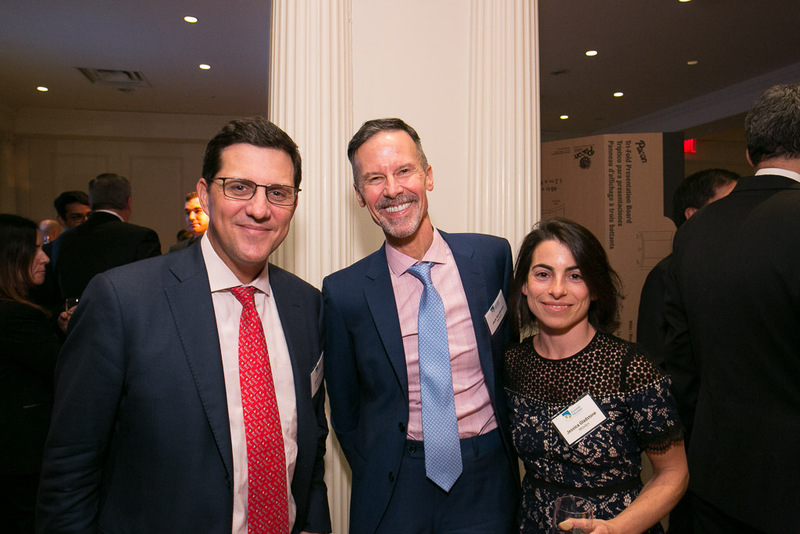 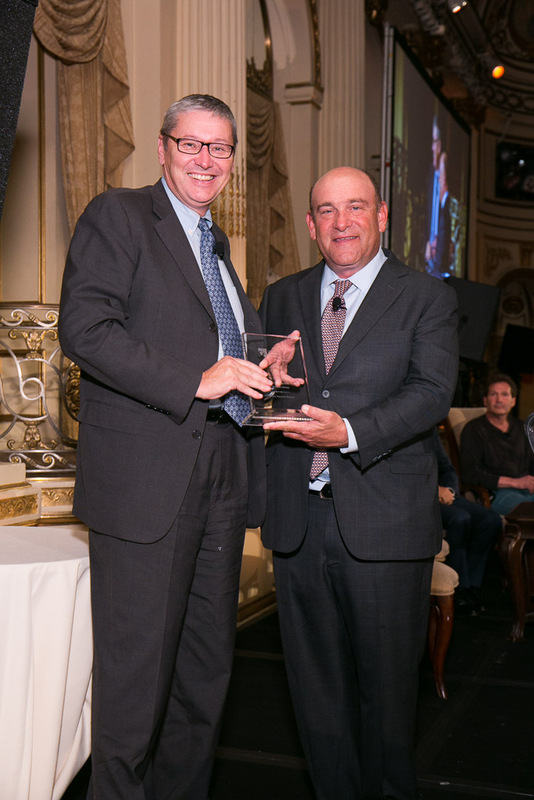 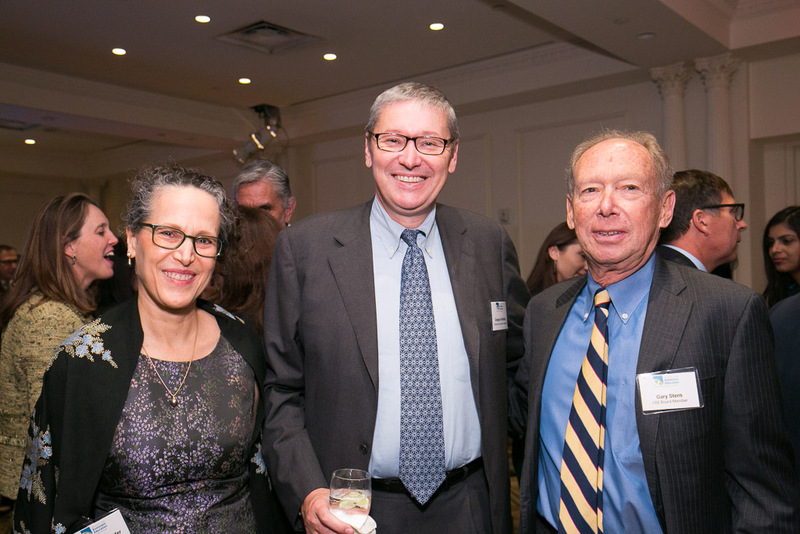 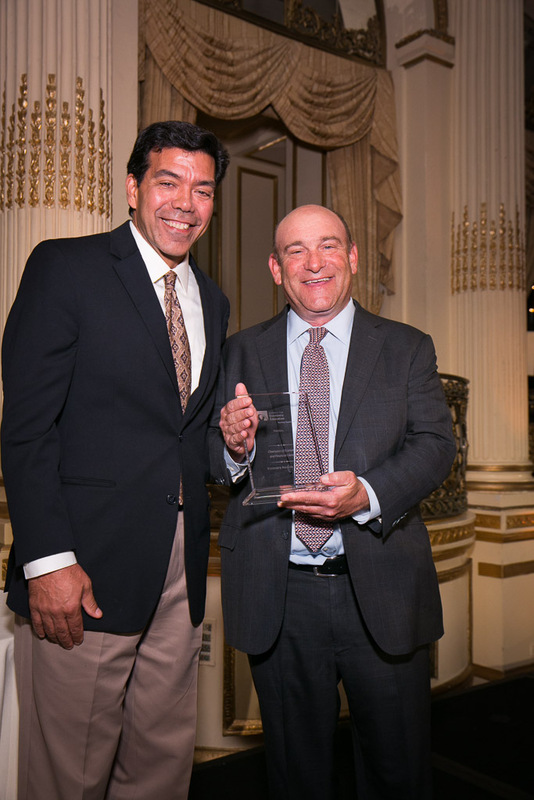 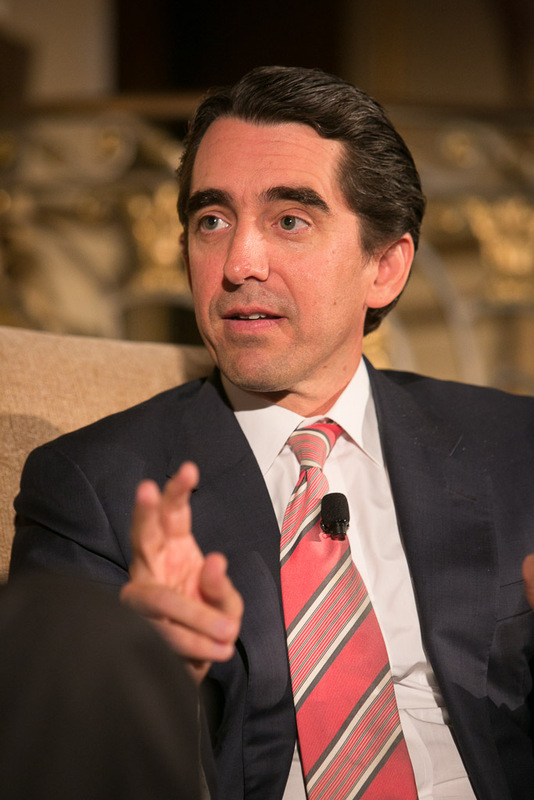 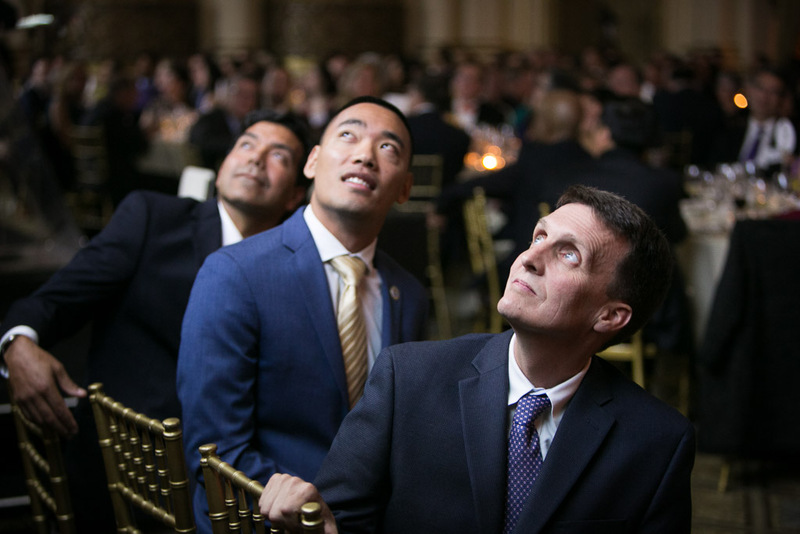 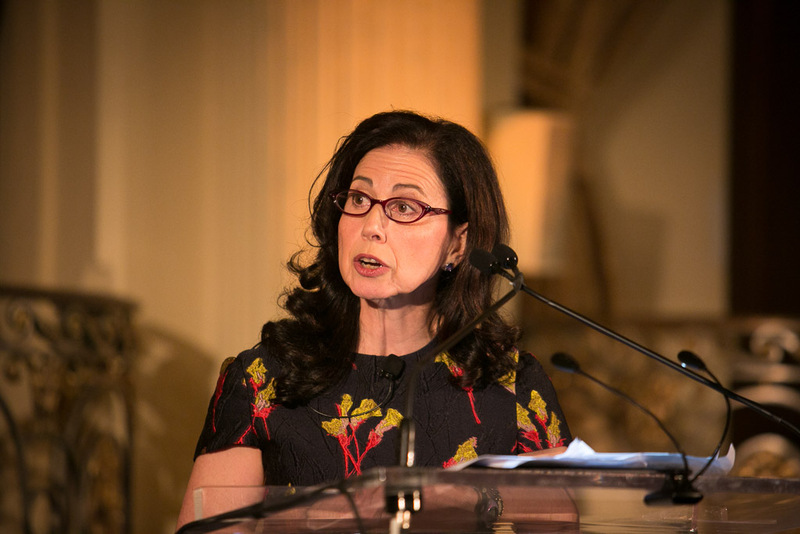 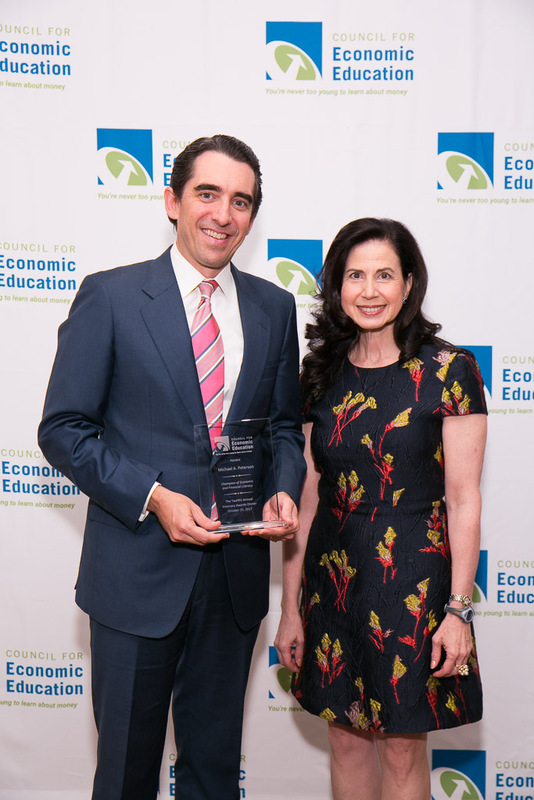 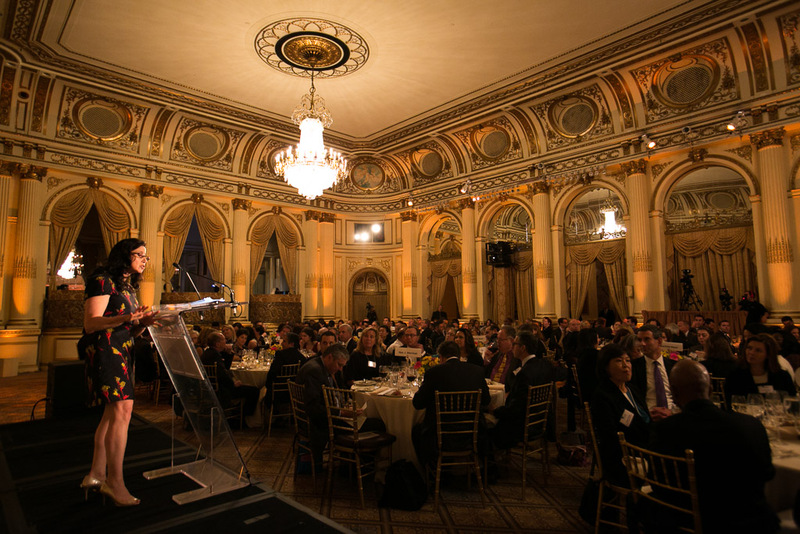 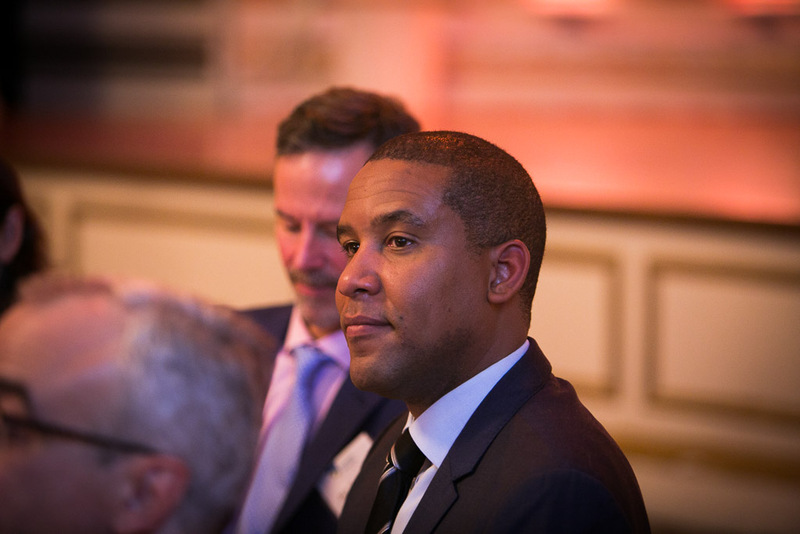 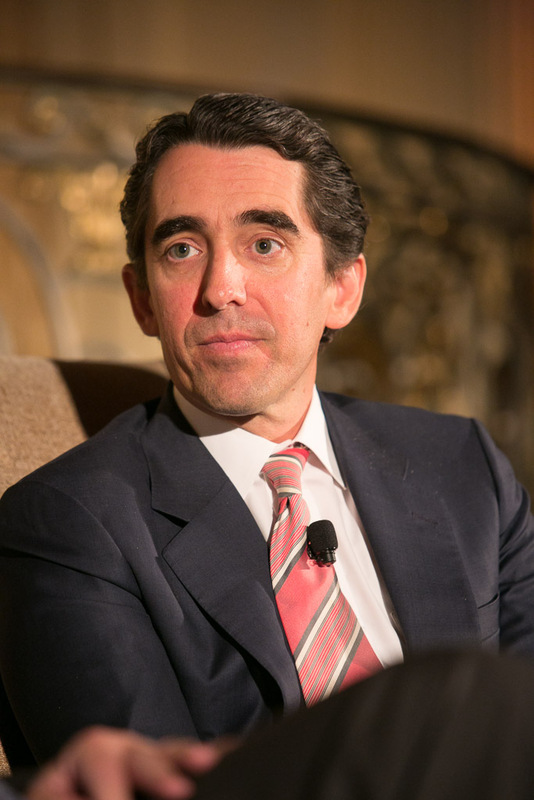 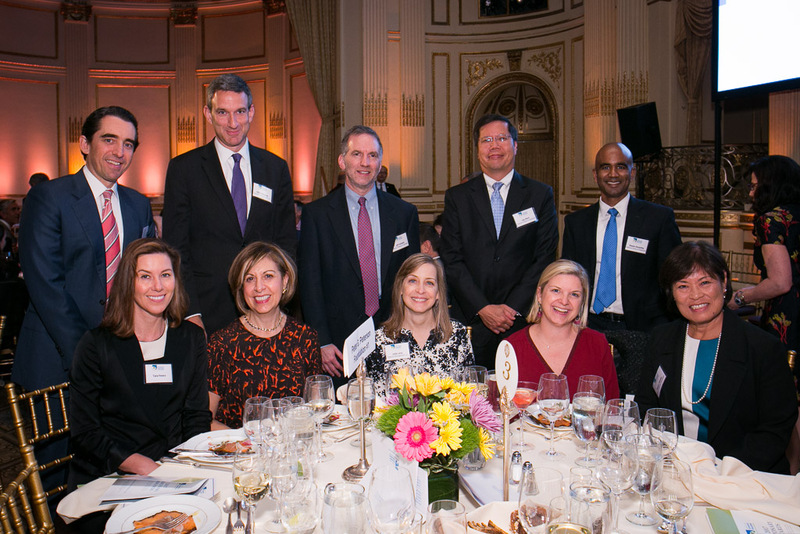 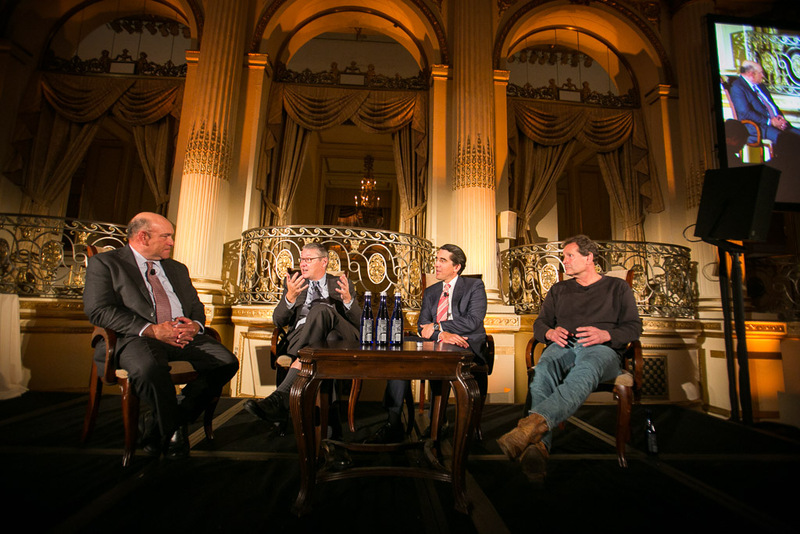 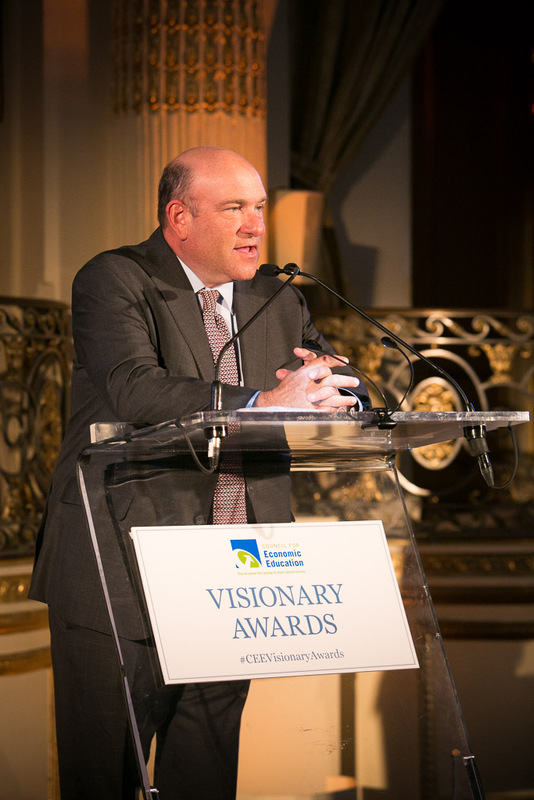 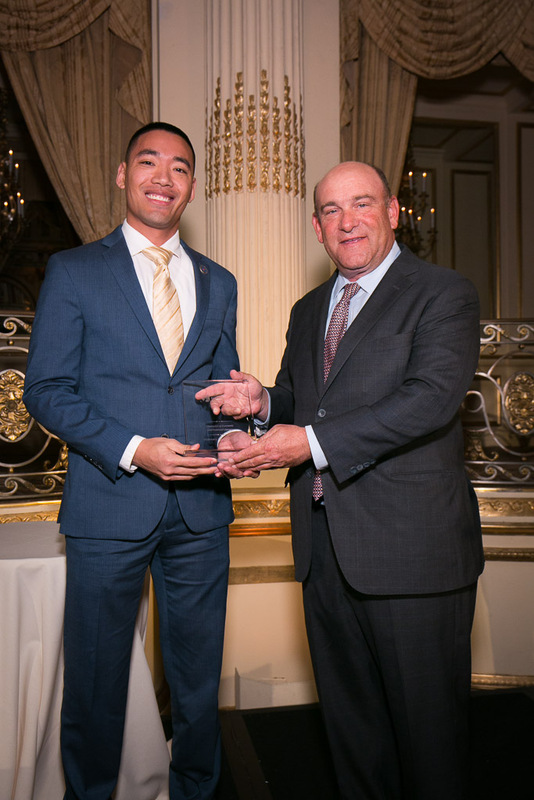 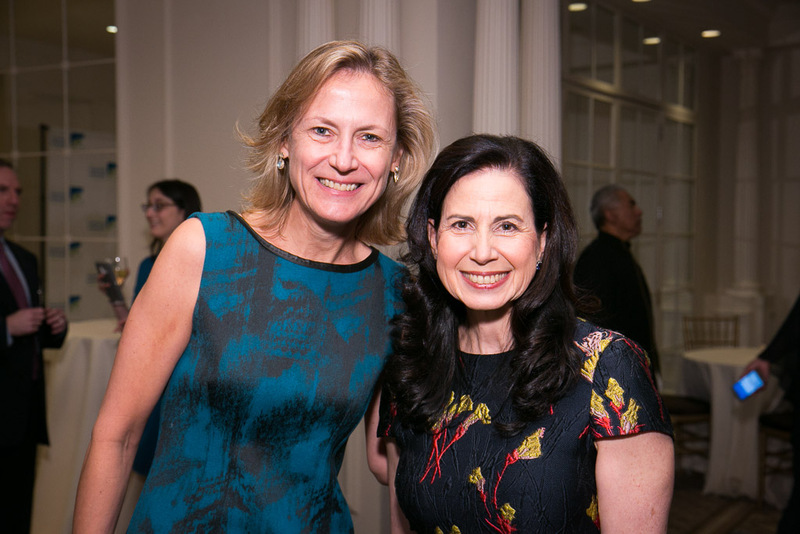 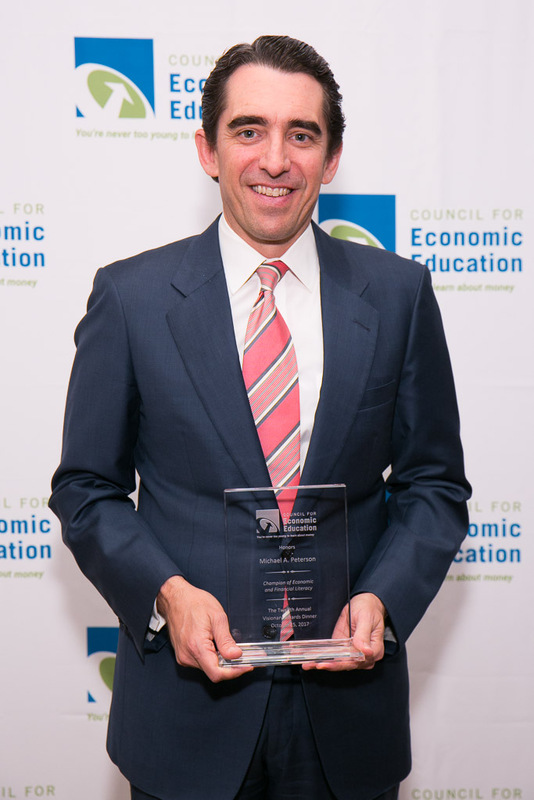 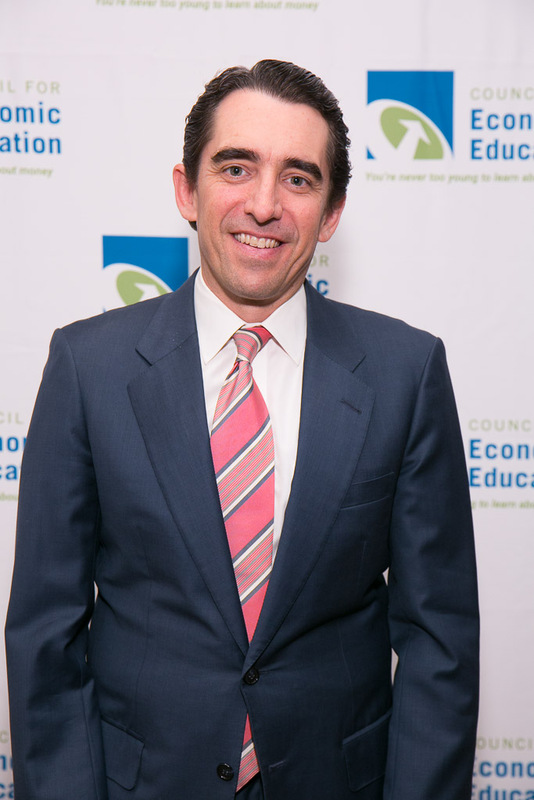 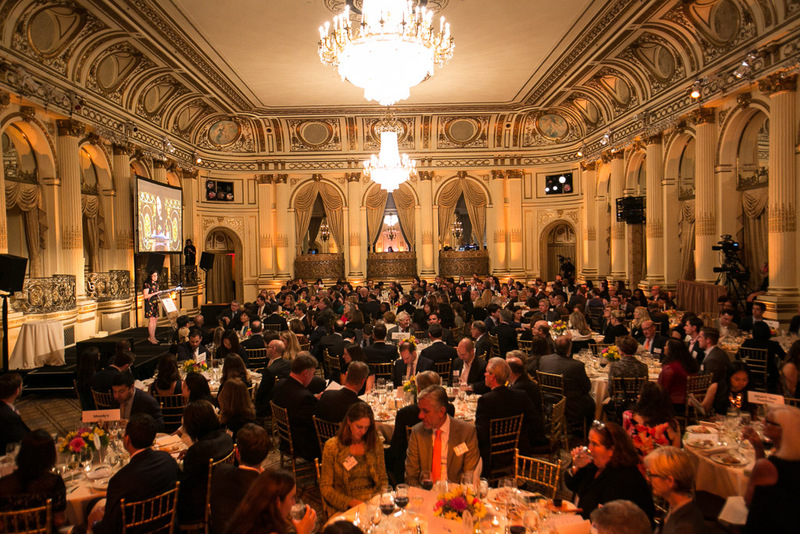 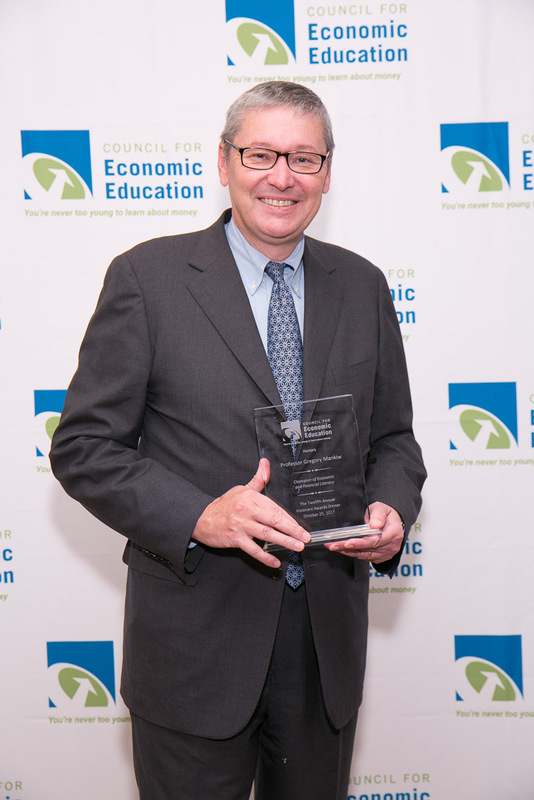 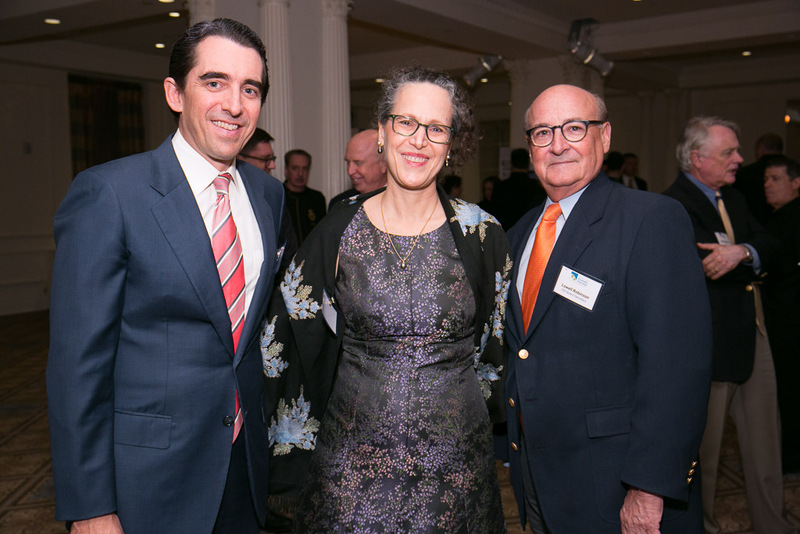 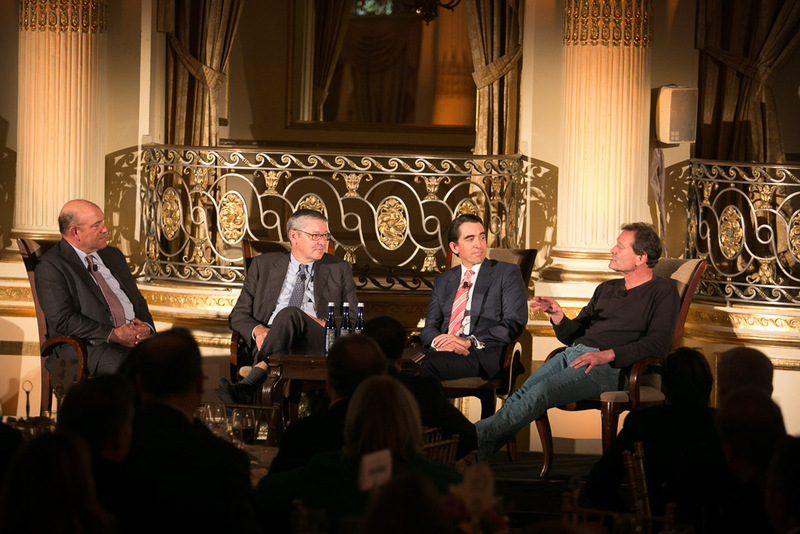 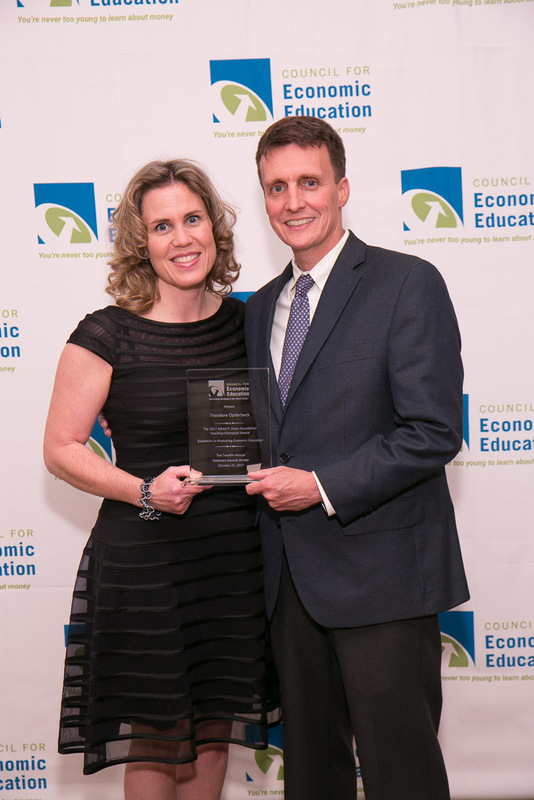 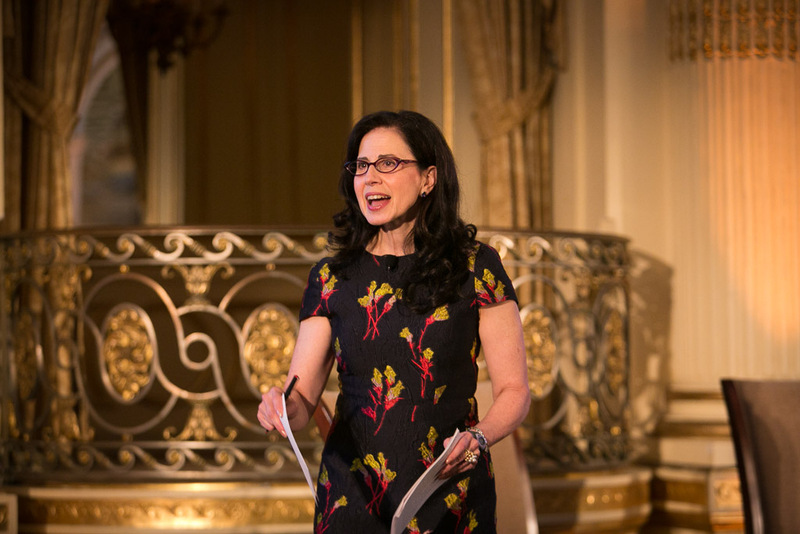 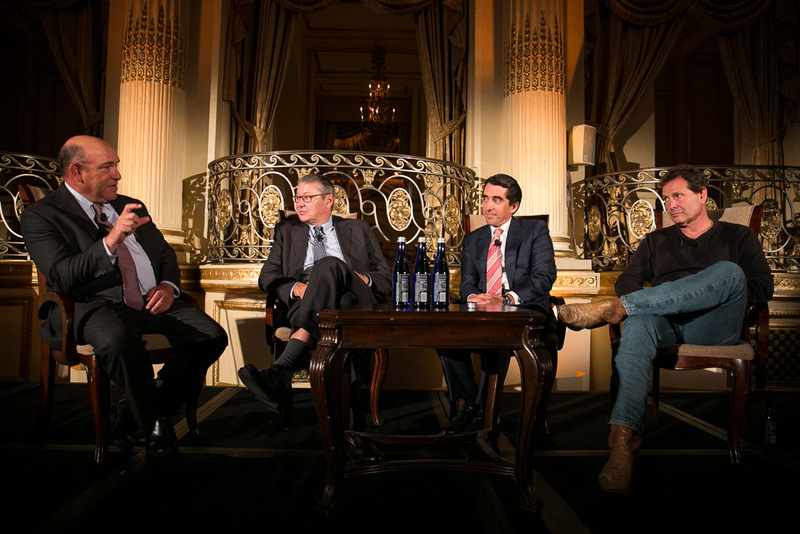 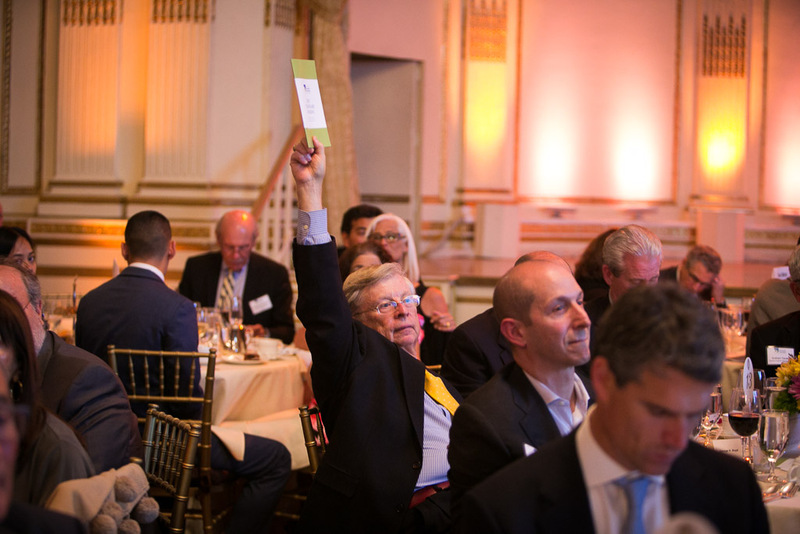 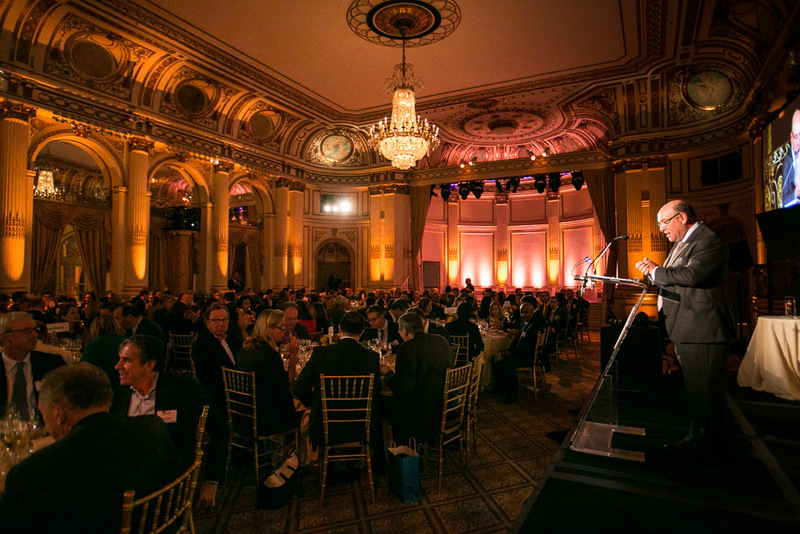 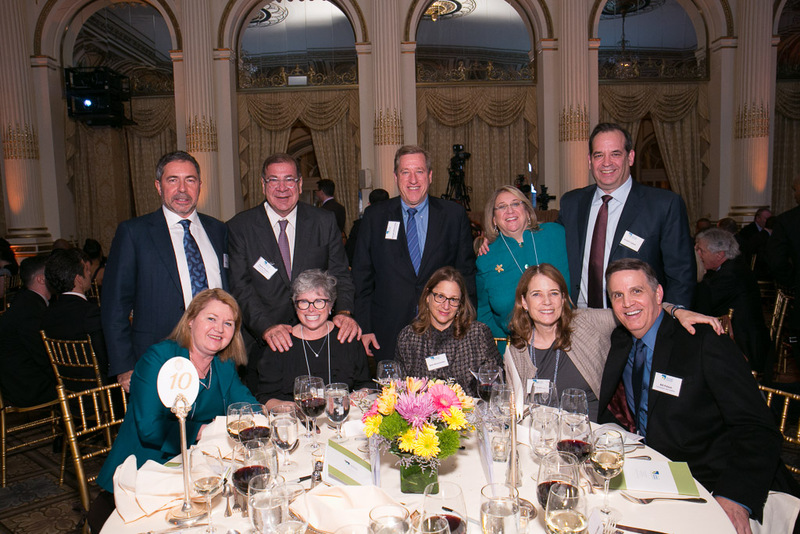 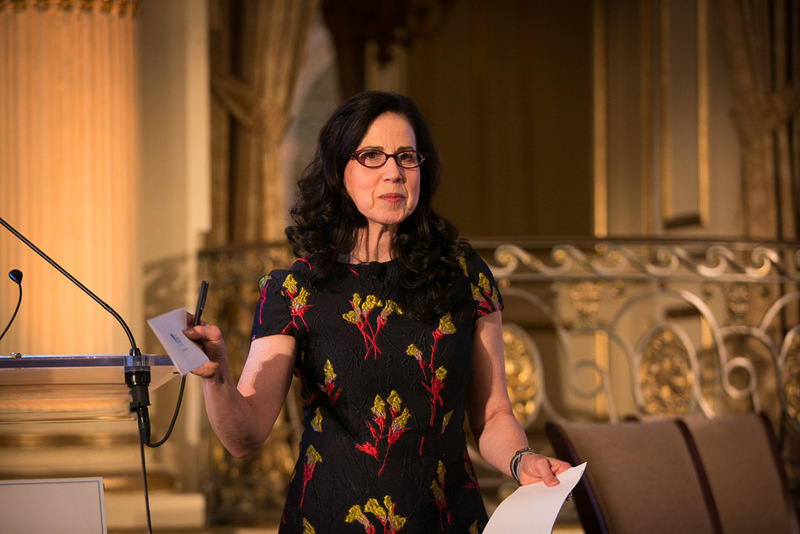 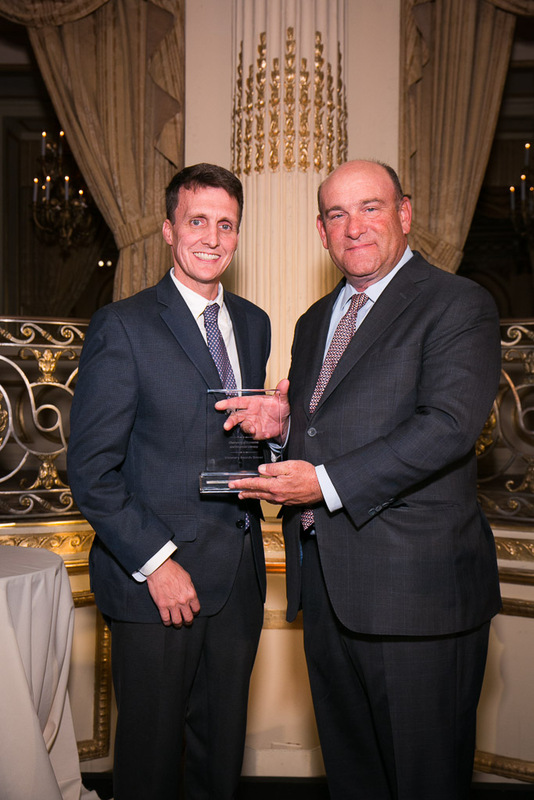 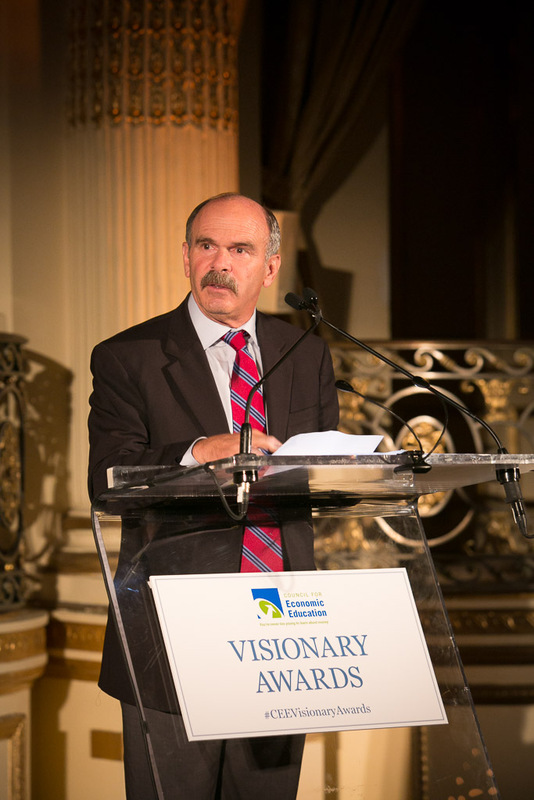 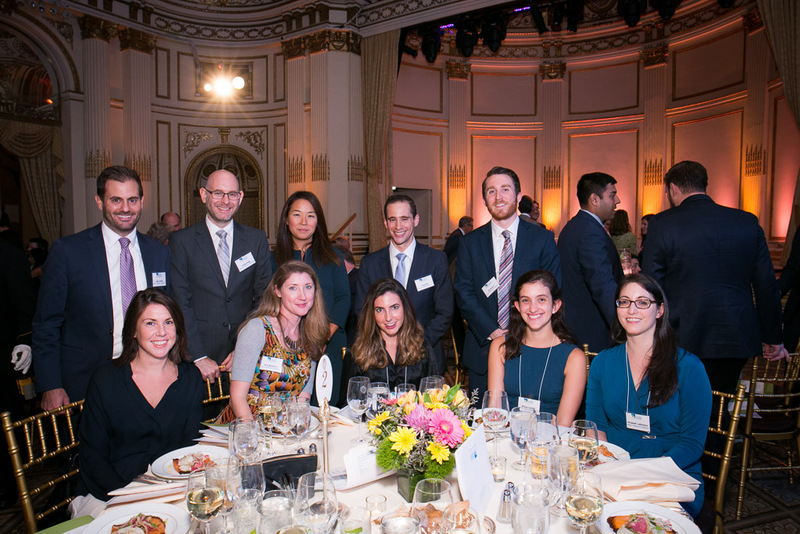 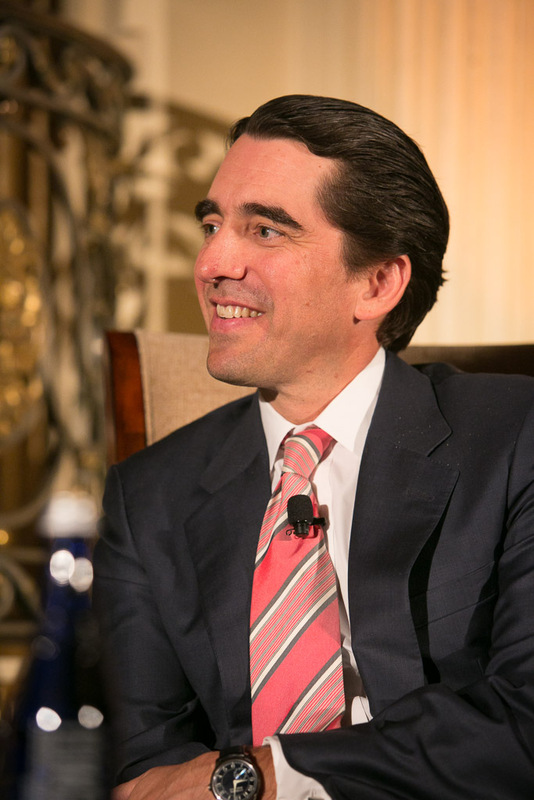 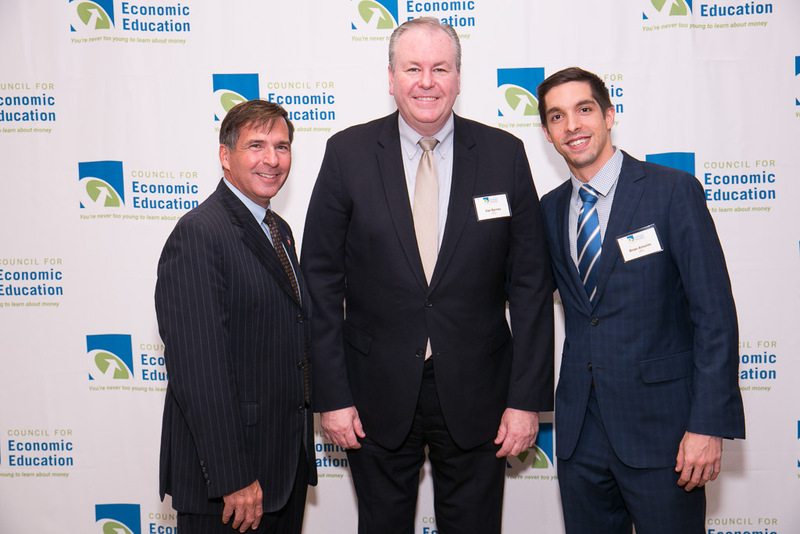 Last Wednesday, the Council for Economic Education (CEE) held its 12th Annual Visionary Awards dinner at The Plaza Hotel in New York City. 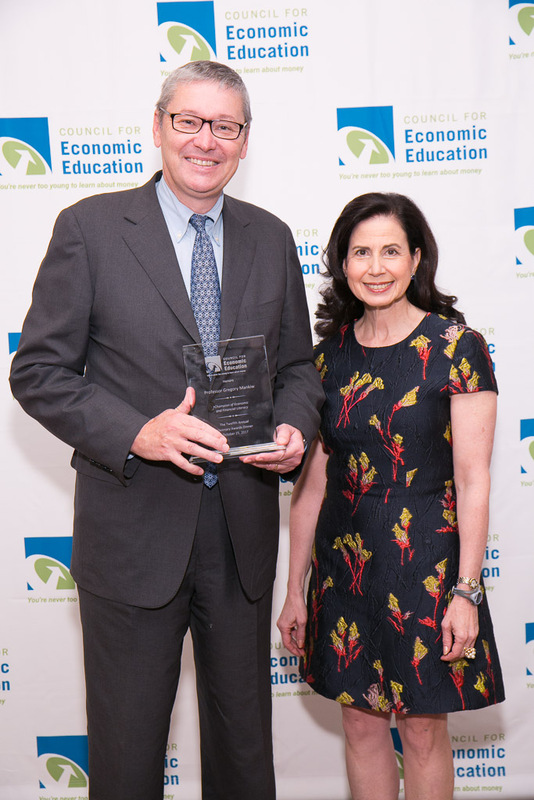 During the course of the evening, we showcased our mission, demonstrated our impact, and honored leaders who promote economic and financial literacy to create a better-informed society. 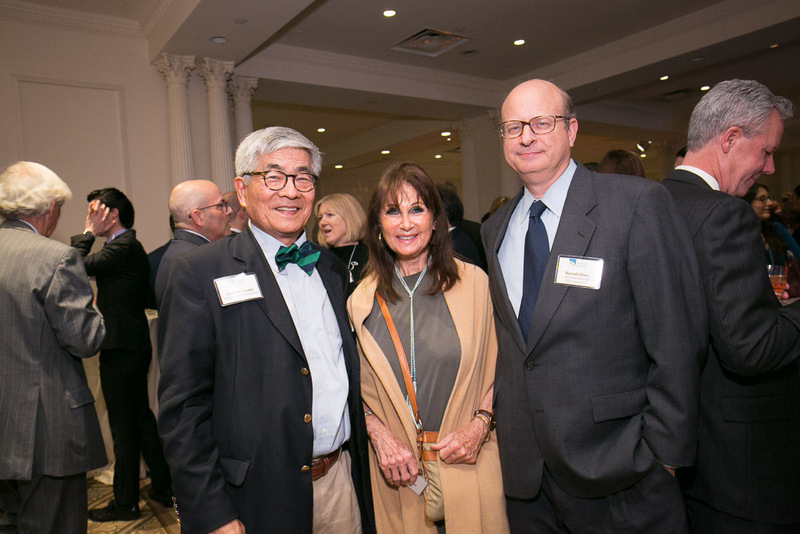 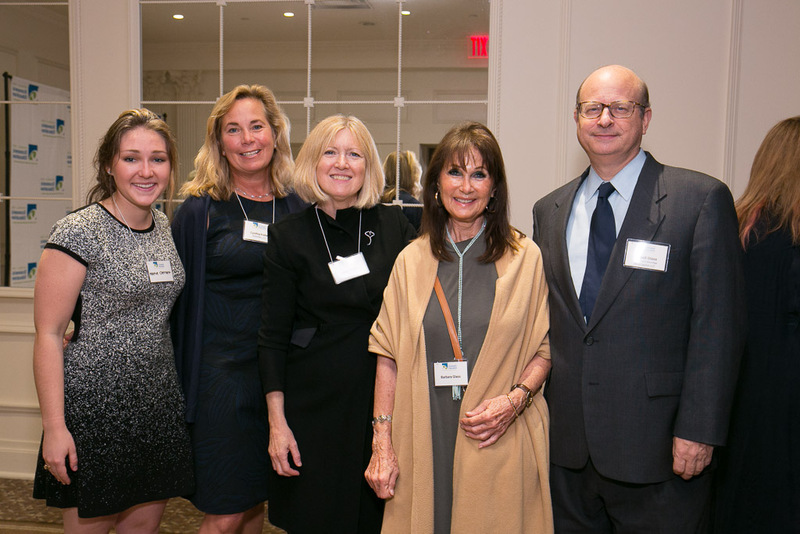 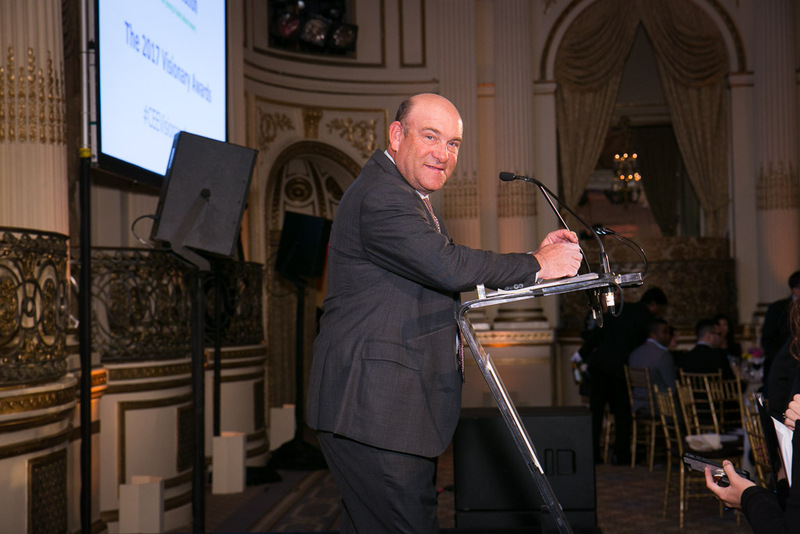 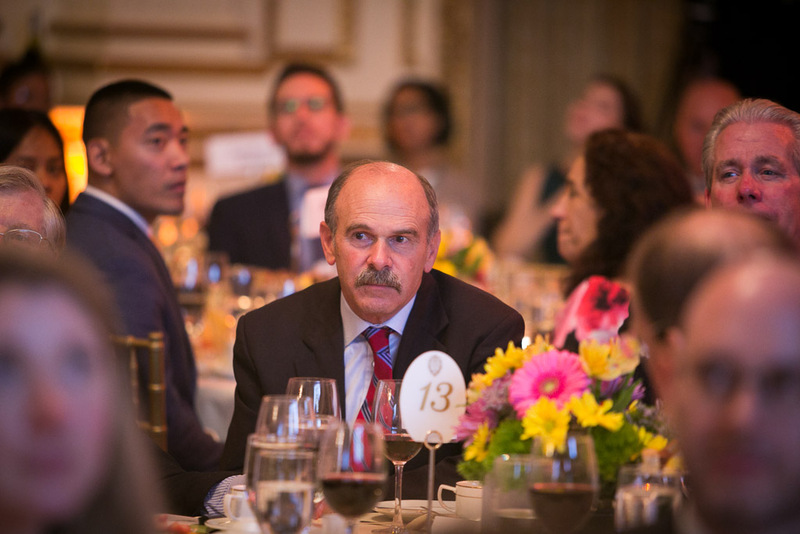 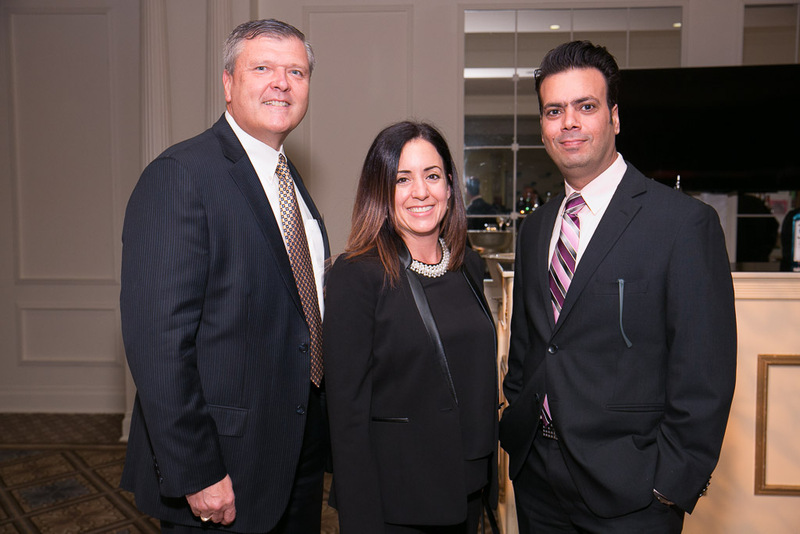 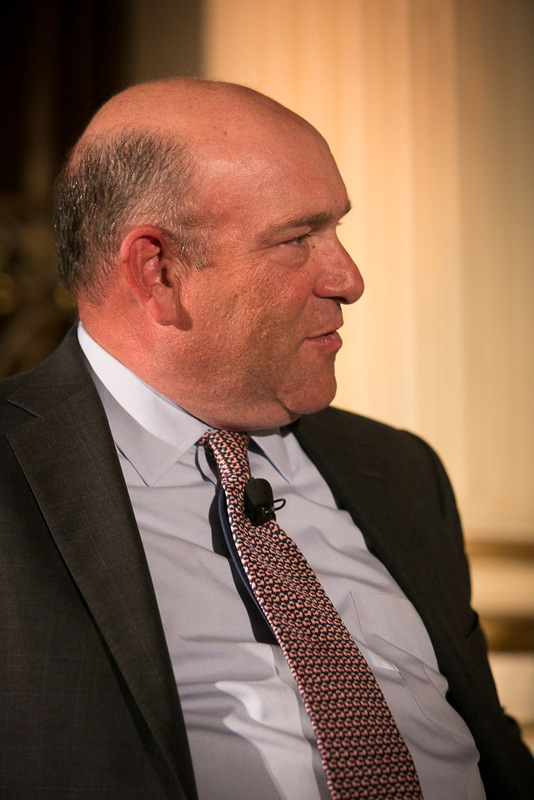 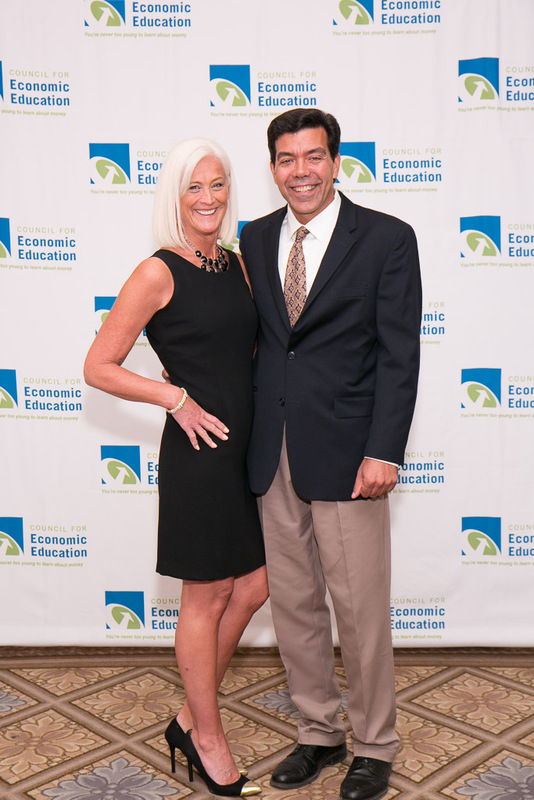 Emceed by CNBC’s Senior Economics Reporter, Steve Liesman, the dinner was filled with meaningful discussion about the state of economic and financial literacy education in our country. 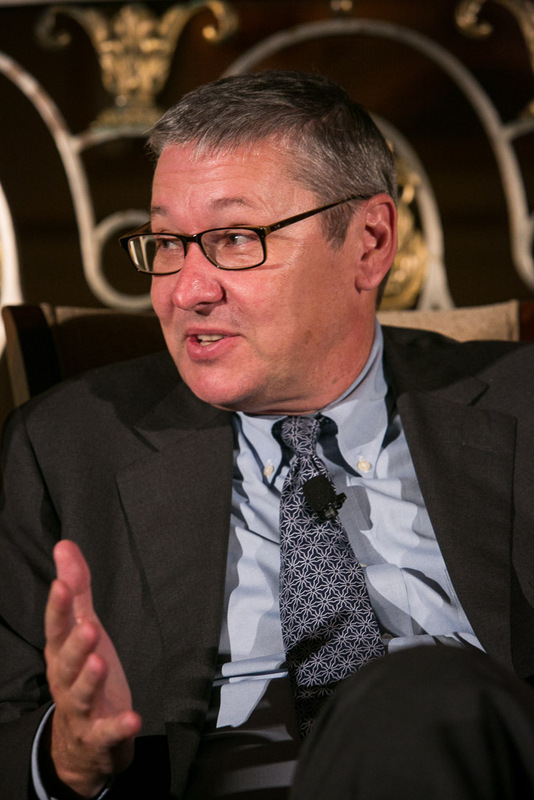 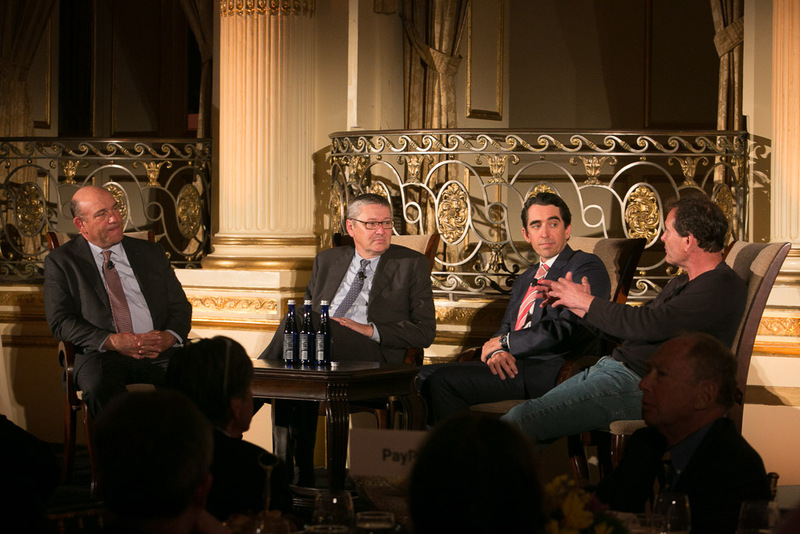 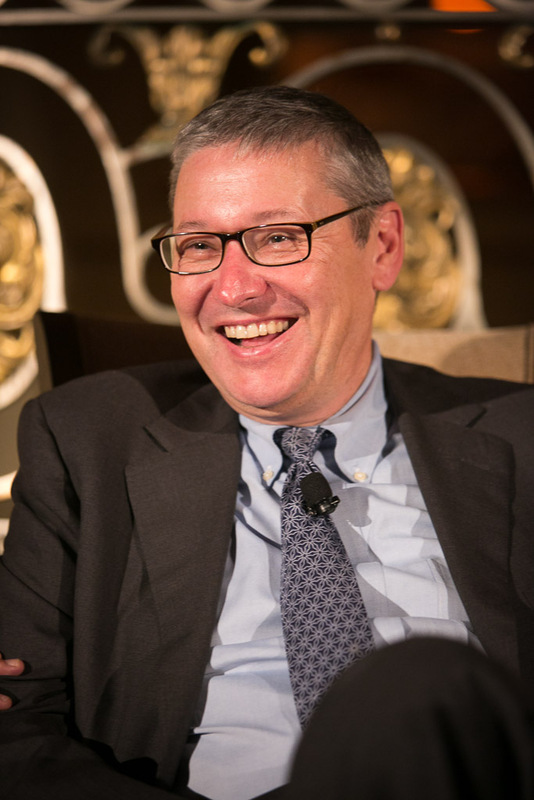 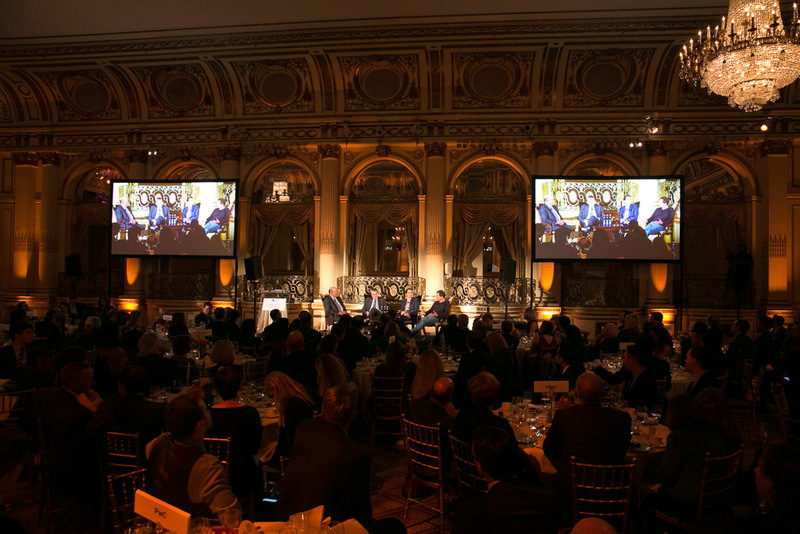 The three Visionary Awards recipients are: Gregory Mankiw, Robert M. Beren Professor of Economics at Harvard University; Michael A. Peterson, President and CEO of Peter G. Peterson Foundation; and Daniel H. Schulman, President and CEO of PayPal. 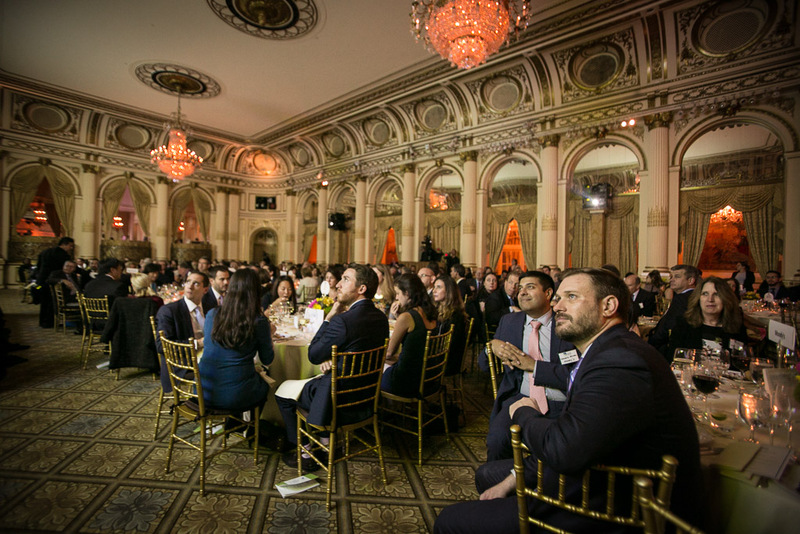 The honorees engaged in a thought-provoking “fire-side chat”, where they discussed several economic and financial literacy issues including the future of electronic commerce, our national debt, and the debt that many families currently find themselves in. 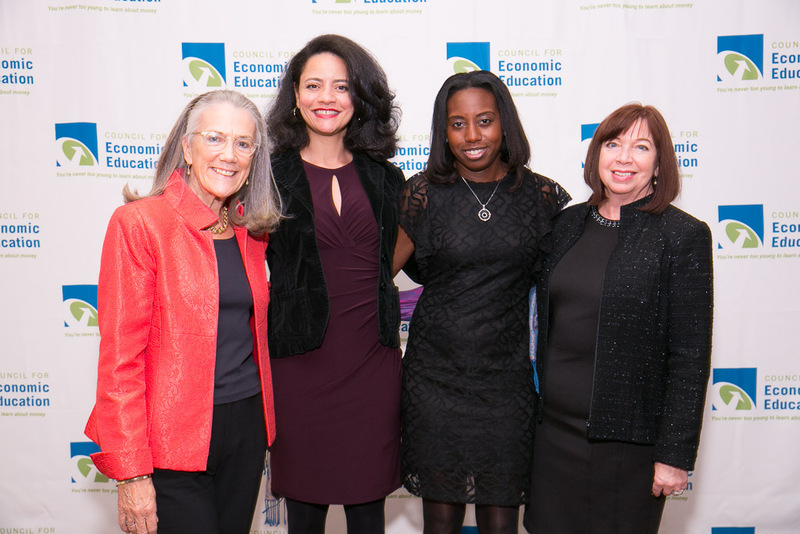 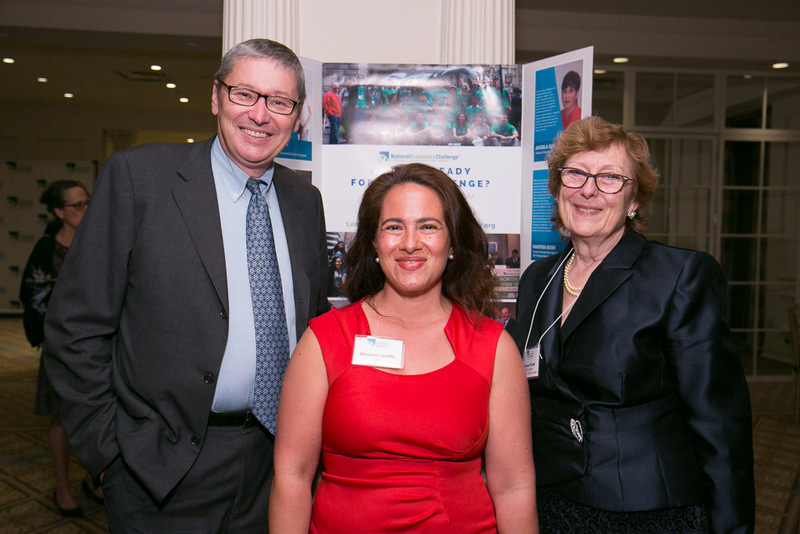 CEE also honored three exemplary New York Metropolitan area teachers with the Alfred P. Sloan Teaching Champion Awards for their excellence in economic education. 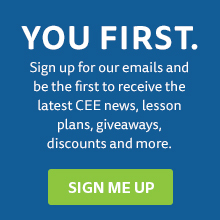 These teachers continually deliver this important content in and out of their classrooms and achieve results. 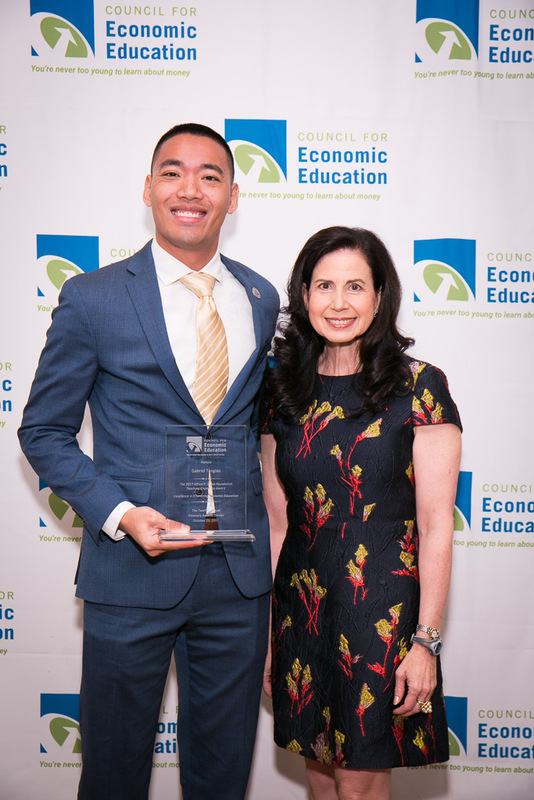 This year’s winning teachers are: Doug Kramer, 12th Grade Economics, AP Economics, World History, and Government at Herricks High School; Theodore Opderbeck, 10-12th Grade AP Economics, Honors Economics, Principles of Economics and Personal Finance, US History, Criminal Procedure, and Introduction to Law at Waldwick High School; and Gabriel Tanglao, 10-11th Grade AP US History, and US History I Honors at Bergen County Technical Schools, Teterboro Campus. 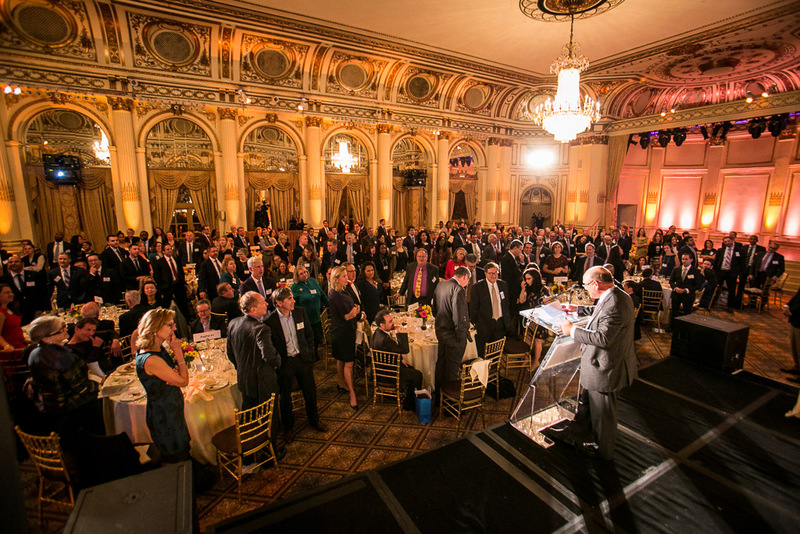 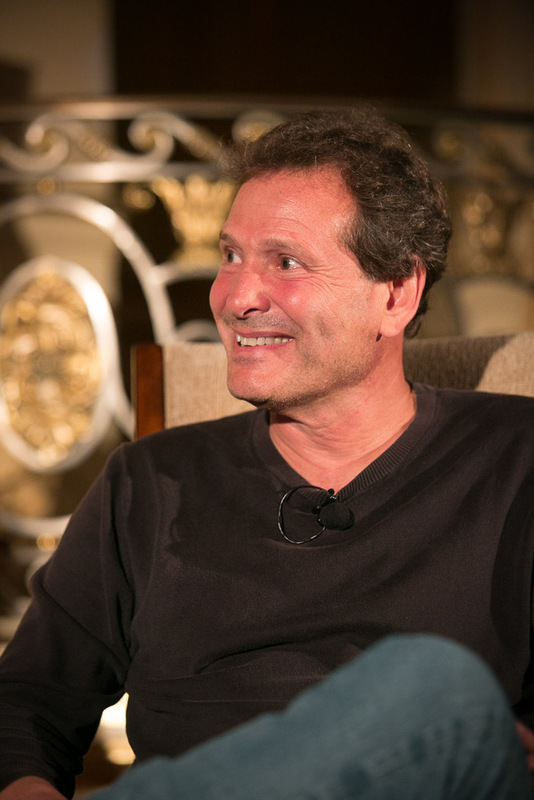 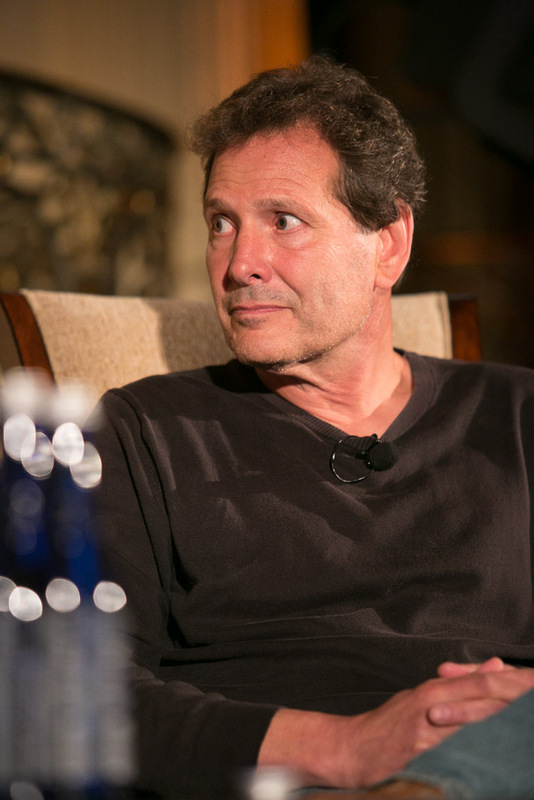 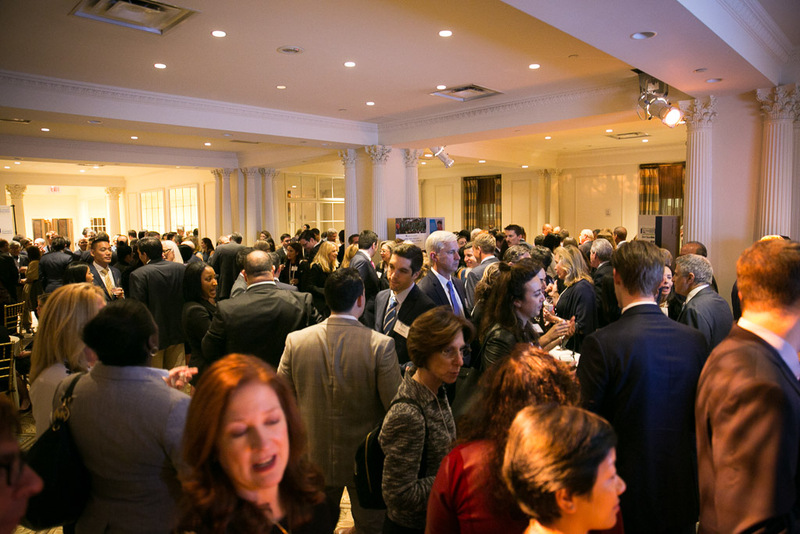 The evening was a great success raising close to $600,000. 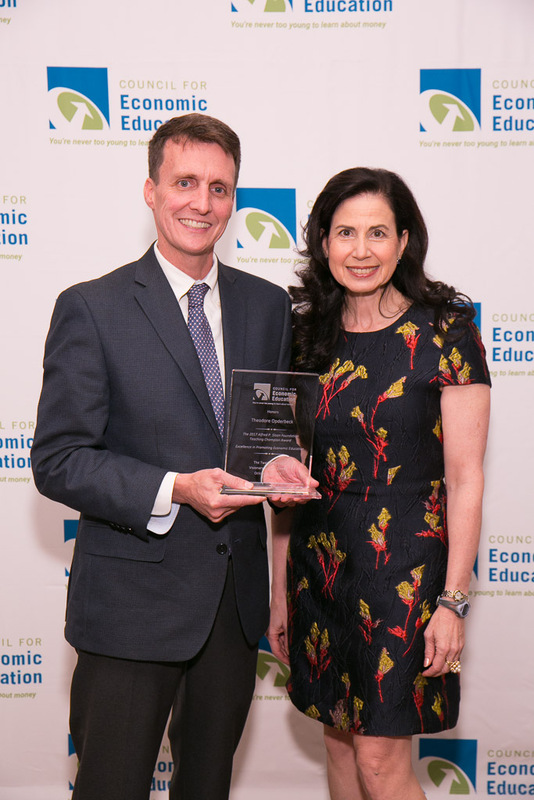 Funding supports our mission, helping us to continue on the path of our digital transformation with EconEdLink; expand our reach through our National Center for Financial and Economic Education and Master Teacher Program; and support our National Economics Challenge, Personal Finance Challenge, K-5 Afterschool Program, and so many other things. 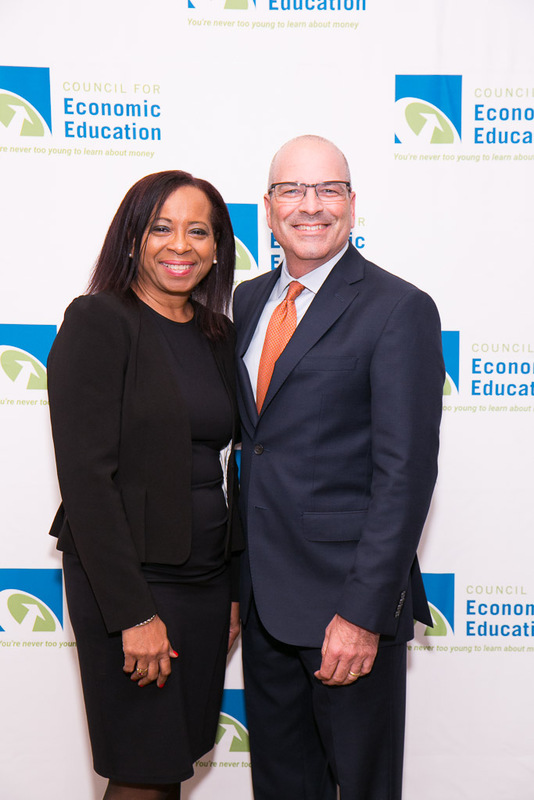 Wells Fargo is the Presenting Sponsor of the Council for Economic Education’s 56th Annual Financial Literacy and Economic Education Conference. 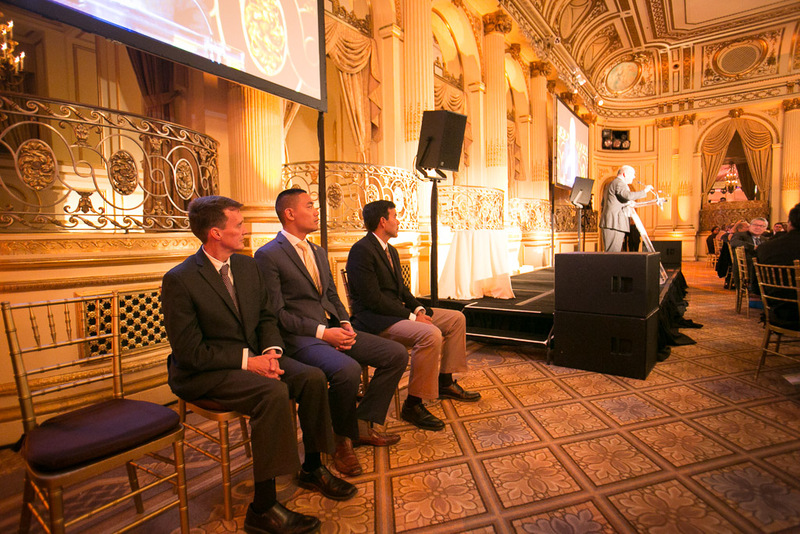 As the presenting sponsor, Wells Fargo is committed to financial education. 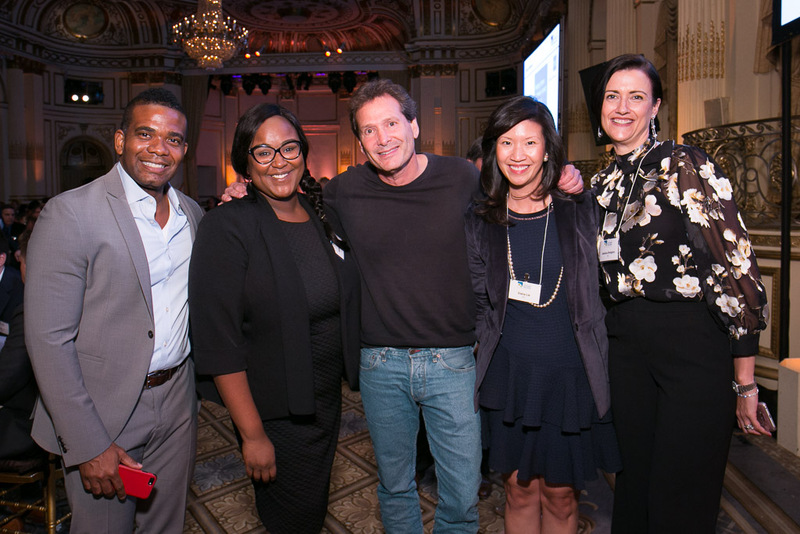 Since 2003, thousands of Wells Fargo team members have reached nearly 4 million people through financial education outreach efforts. 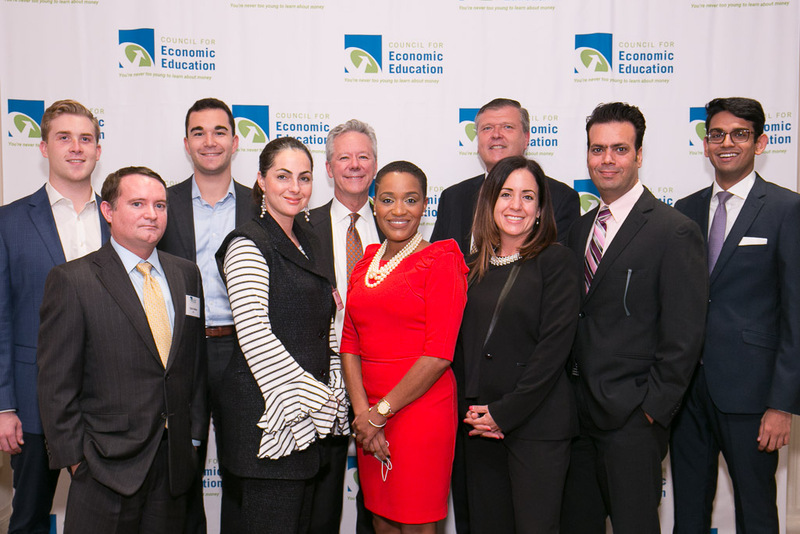 One way that Wells Fargo demonstrates its commitment to financial education is through its Hands on Banking® program. 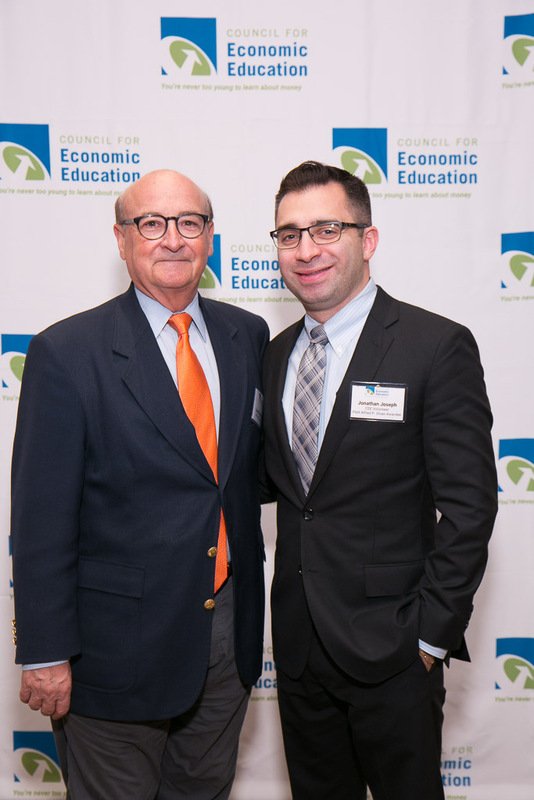 Hands on Banking provides specialized resources for both individual and classroom learning. 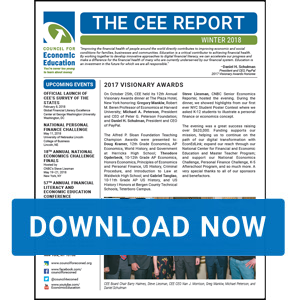 This program offers relevant and engaging content on banking, budgeting, managing credit, investing, and more. 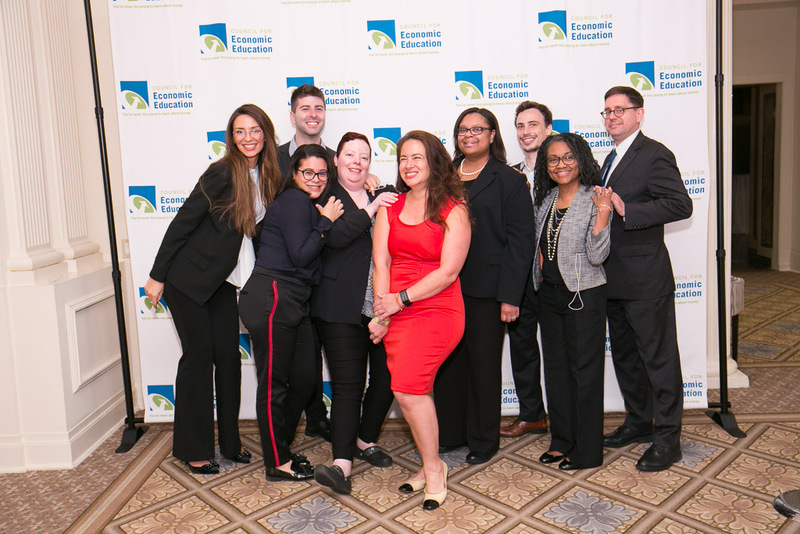 There are several resources available to explore these financial topics, including Zing, a friendly and curious green alien that helps students in grades 4 through 5 or self-paced modules for high school students. 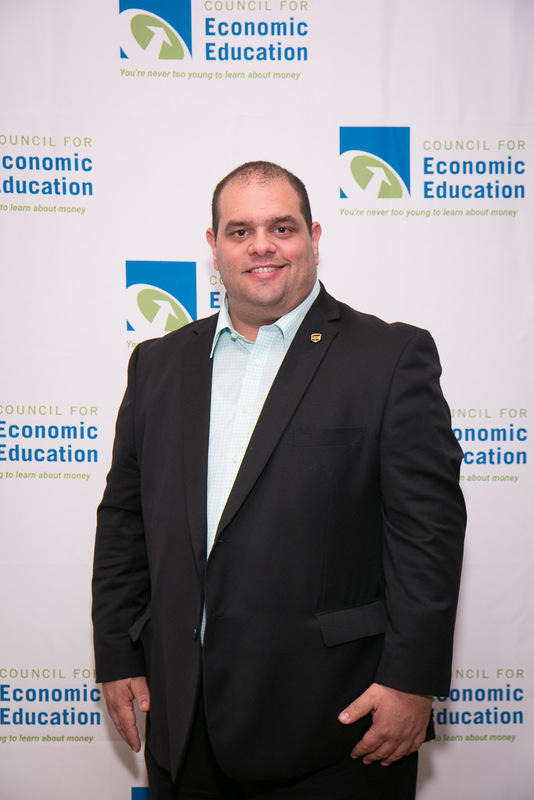 Please visit the Hands on Banking exhibit during the conference to learn more. 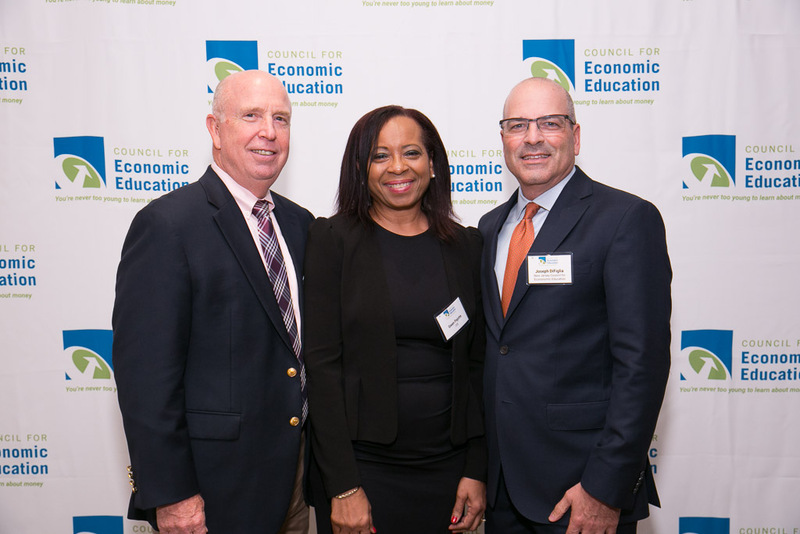 CEE greatly appreciates Wells Fargo’s continuing partnership and support of our annual Financial Literacy and Economic Education Conference as well as many other programs over the past three decades. 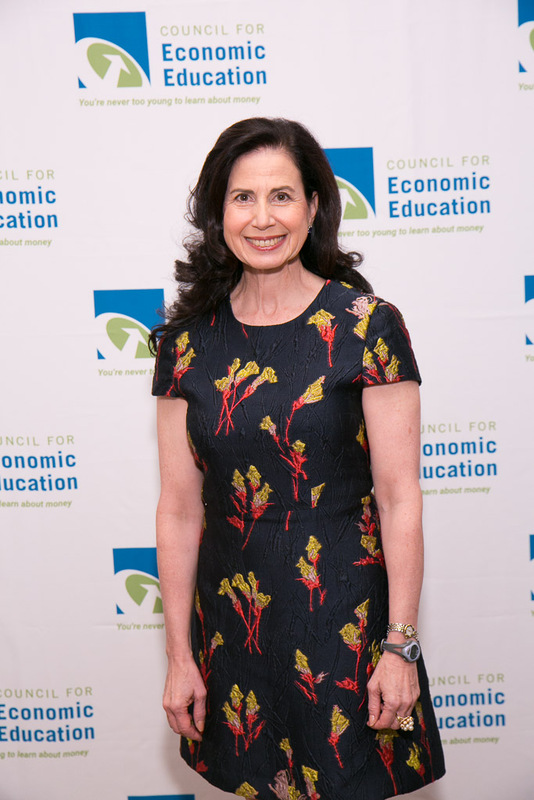 This year, educators will have access to over 100 workshops that will prepare them to integrate personal finance and economics into their classes. 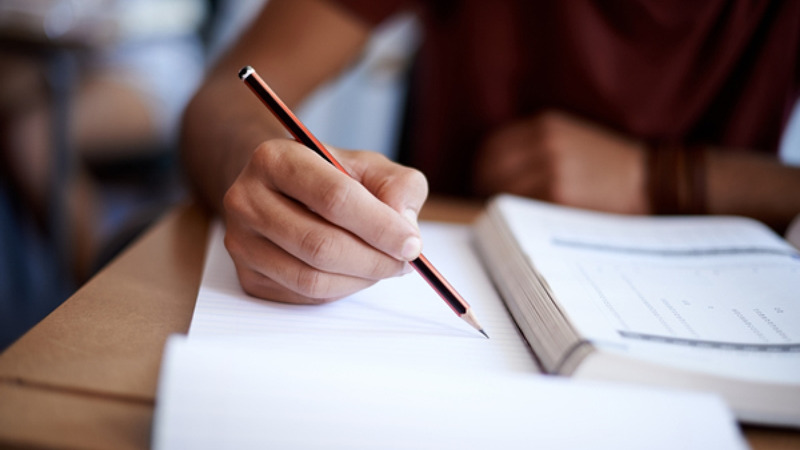 One featured curriculum and program is Wells Fargo’s Hands on Banking®. 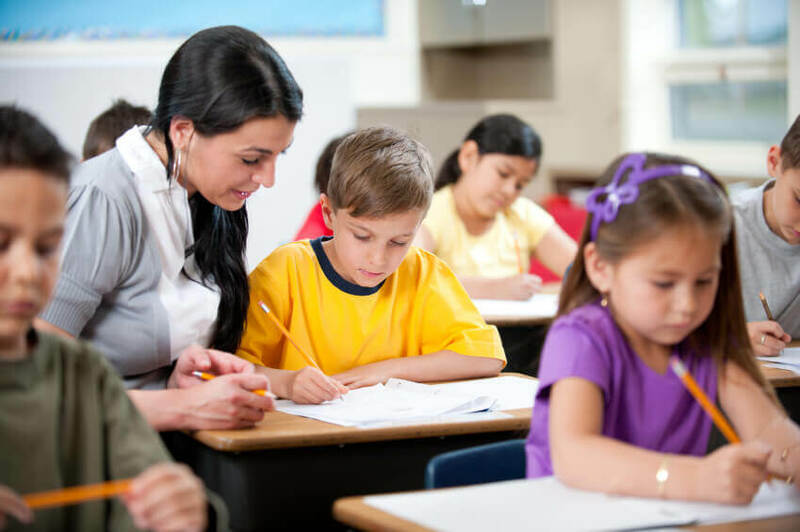 Hands on Banking provides specialized resources for both individual and classroom learning, all of which are available for free in English and Spanish. 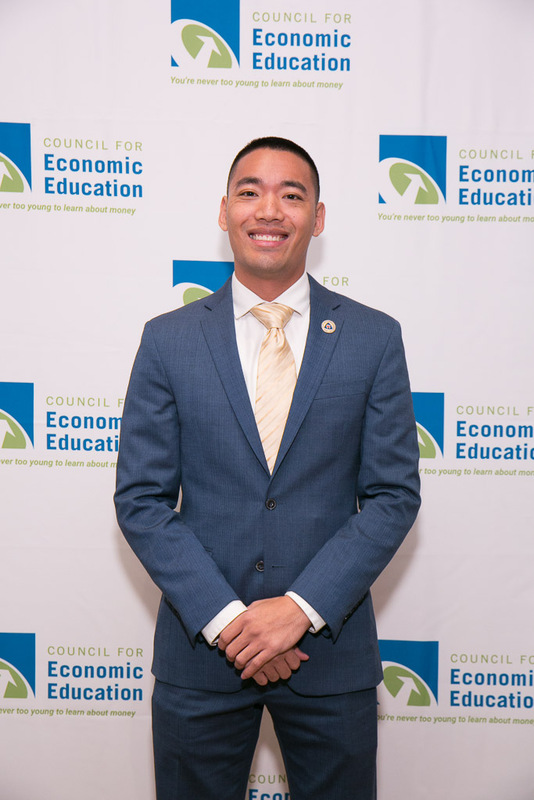 Count on Hands on Banking as a free, financial education program you can use to help students address real-life financial situations! 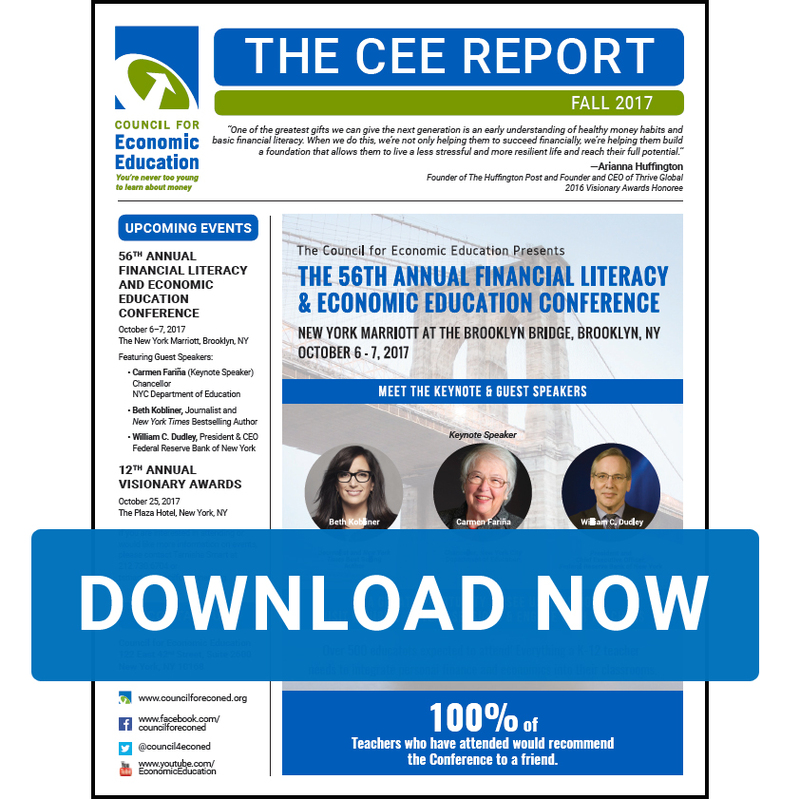 We’re proud to announce that Wells Fargo is the presenting sponsor of CEE’s 56th Annual Financial Literacy and Economic Education Conference, which is taking place in Brooklyn, NY, from October 6th-7th. 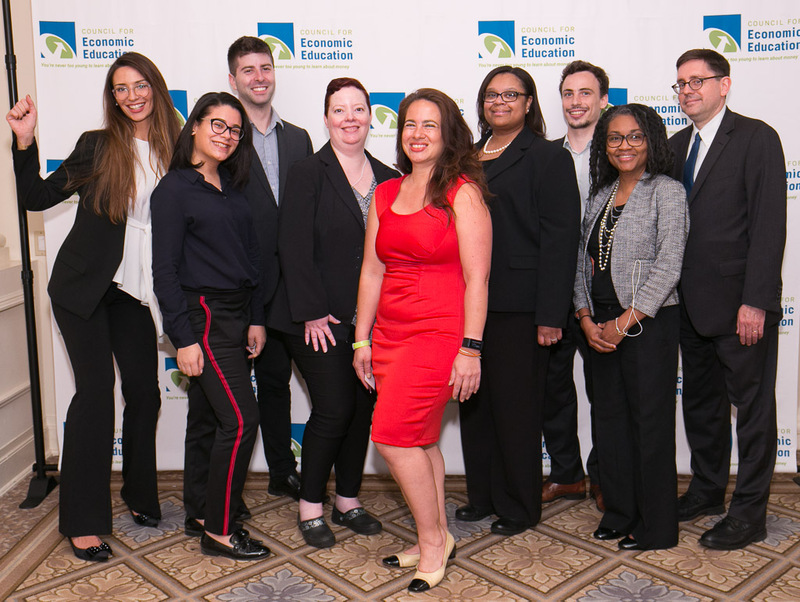 Thanks to Wells Fargo’s support, CEE will be able to provide K-12 educators from throughout the country with outstanding conference sessions and workshops, networking opportunities, and an impressive roster of guest speakers. 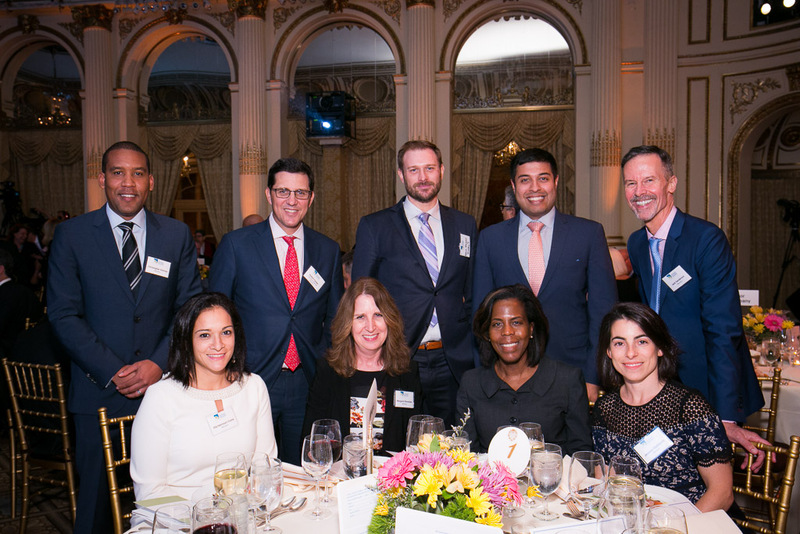 Wells Fargo strives to create a world in which all individuals are financially capable and have the knowledge, skills and confidence to make informed financial decisions. 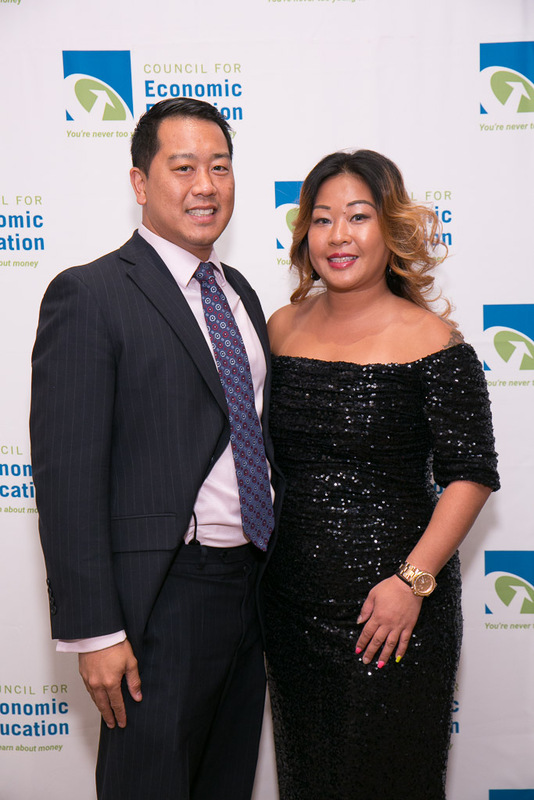 This commitment to promoting financial capability and helping people succeed financially is clear and demonstrated through the free, financial education program: Hands on Banking®. 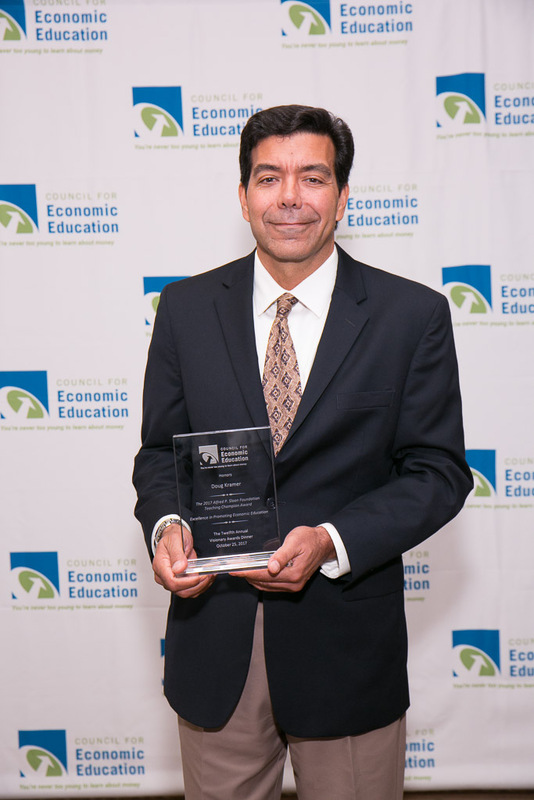 Hands on Banking provides relevant and engaging resources for both individual and classroom learning, all of which are available for free in English and Spanish. 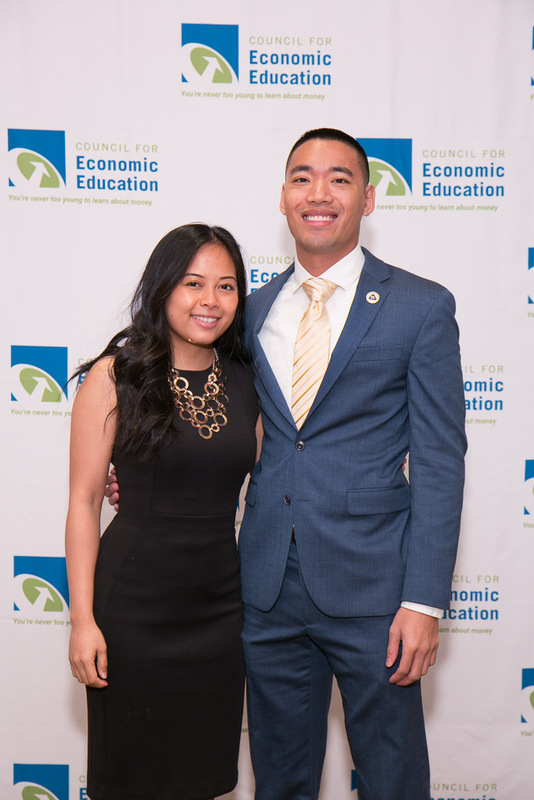 Thank you, Wells Fargo, for making our educator conference possible and for continuing to support our mission to improve financial education!